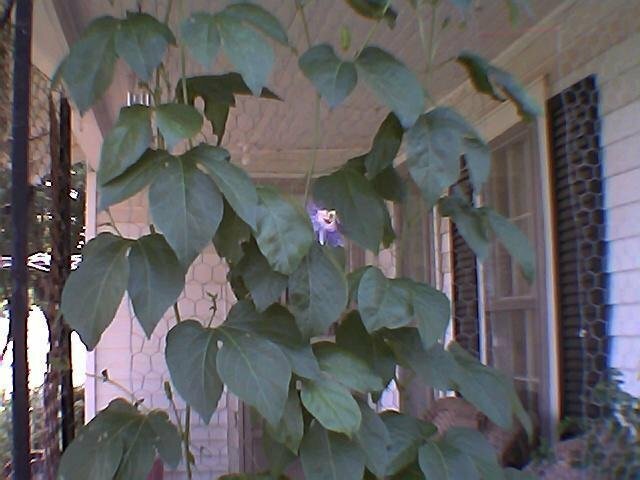 I love this plant. 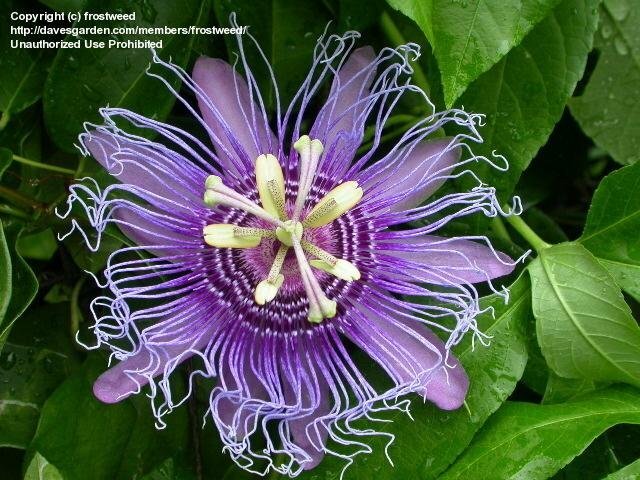 Fast growing once established. 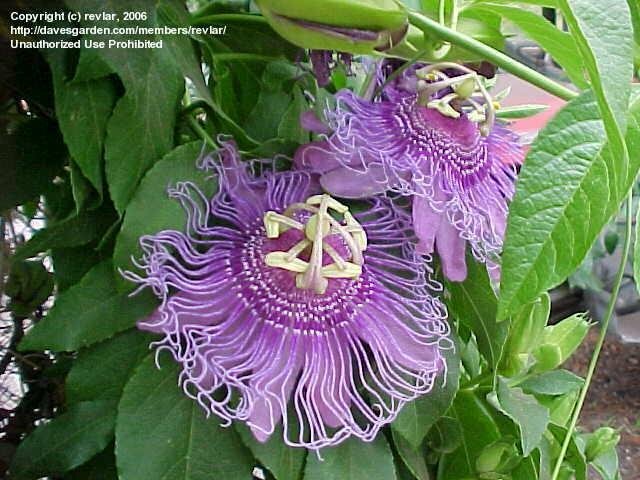 The flowers are gorgeous and fruit production good. 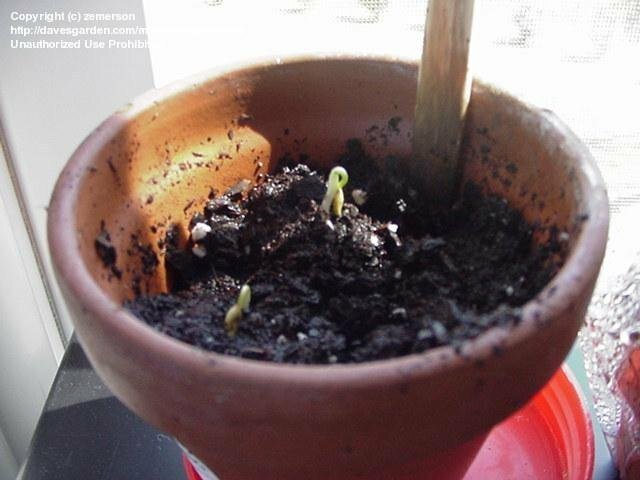 Can't wait to harvest. 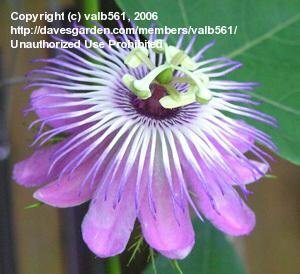 Purple Passion flower "volunteer" in my veggie garden on the coast of Texas. 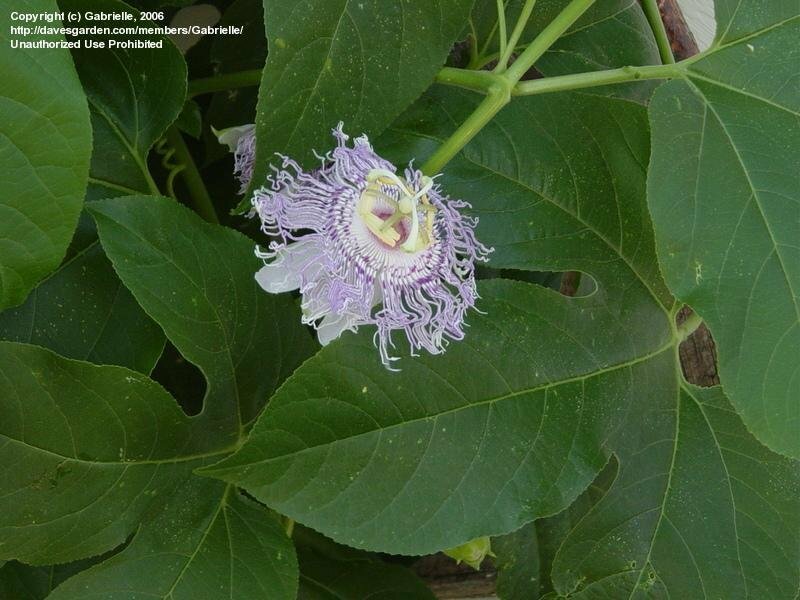 Maypop transplanted from Atlanta, Ga. to Baltimore, Md. 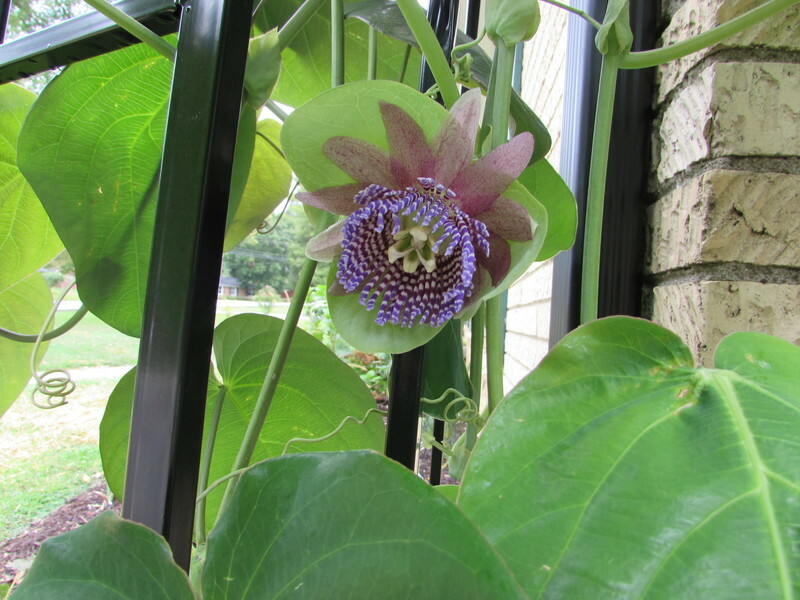 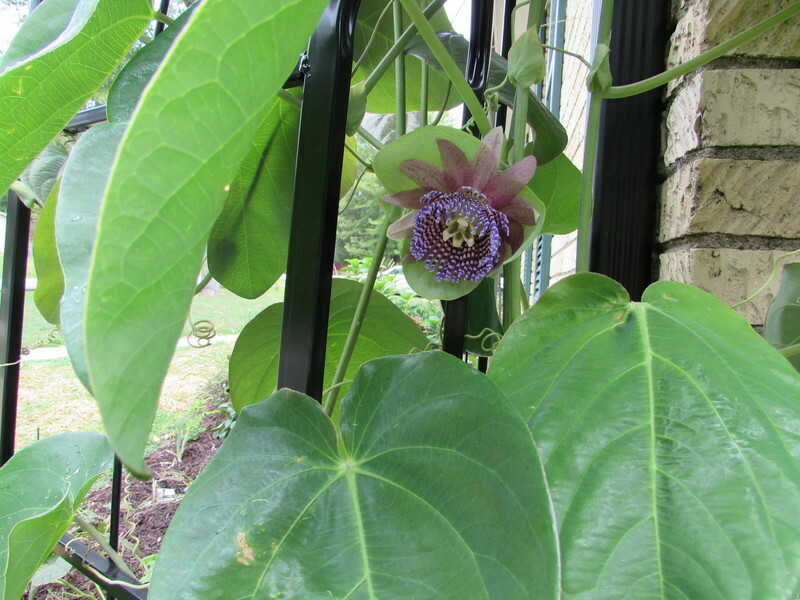 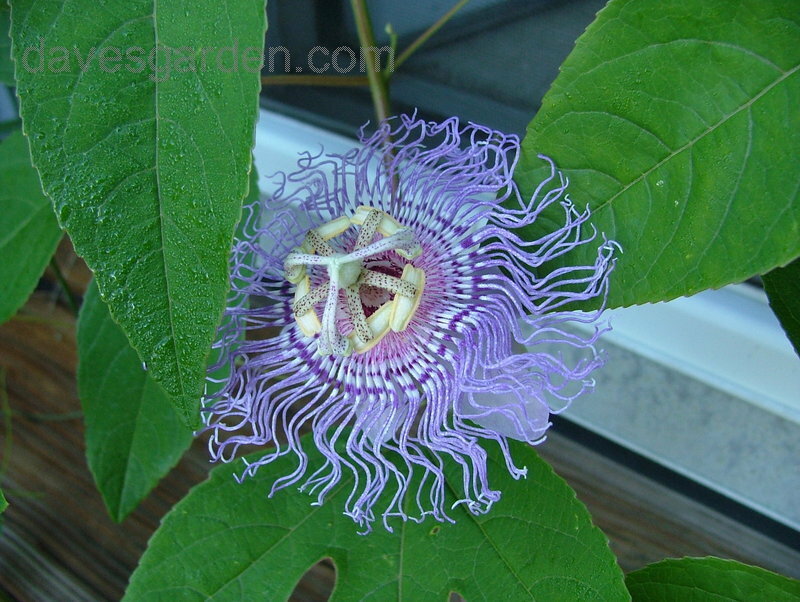 This beautiful flower is only one of the many lovely blooms on the Passiflora incarnata vine growing in our backyard. 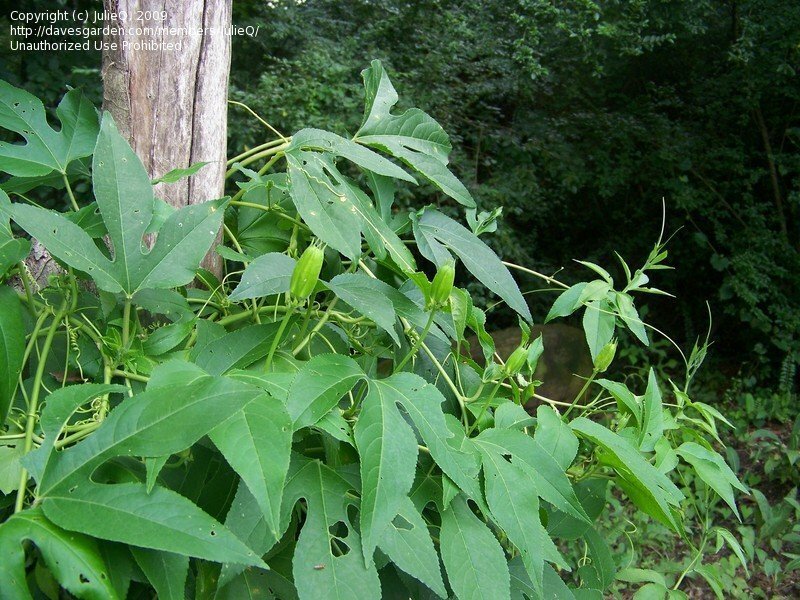 Careful, they tend to multiply very quickly. 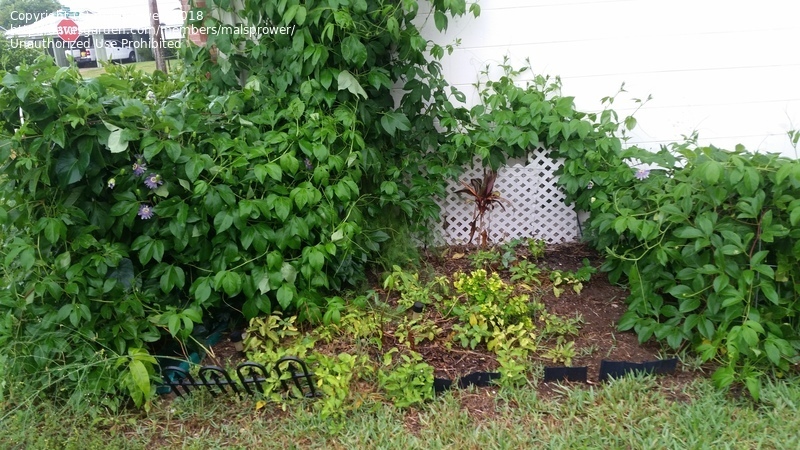 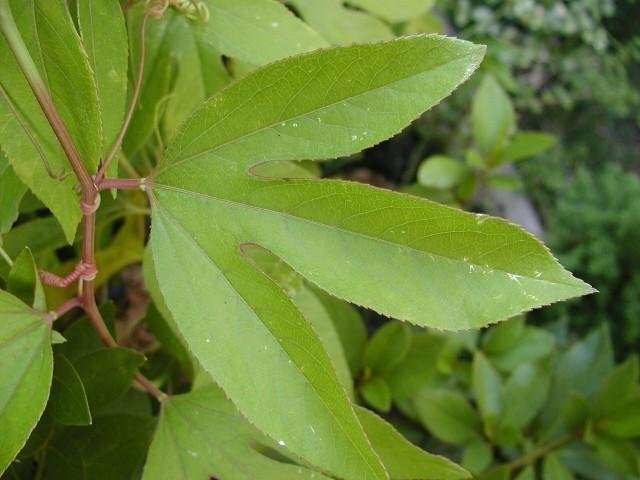 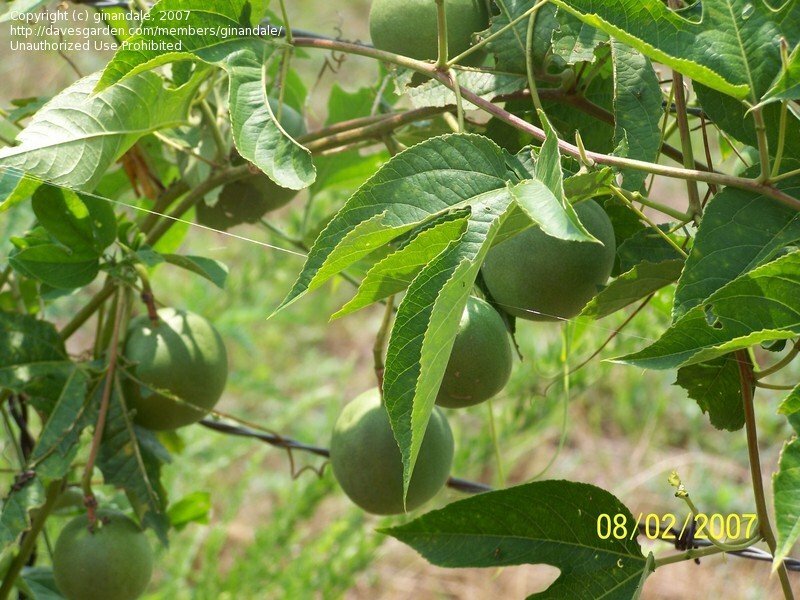 I found lots of Passion fruits hanging from Maypop vines in the woods next to a Park in Rockledge, Florida (32955). 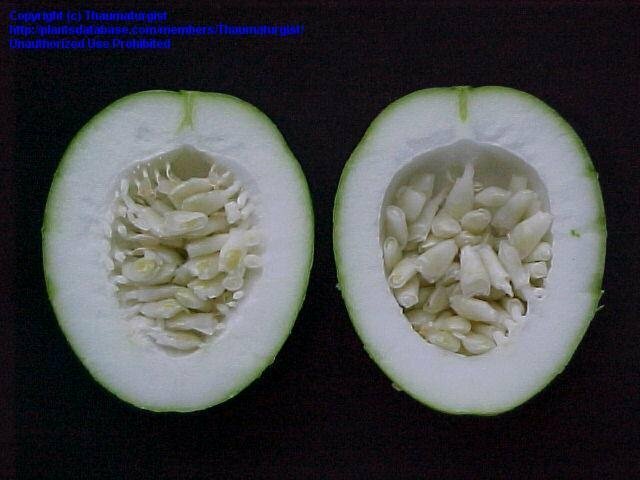 This photo shows the 2 halves of a Passion fruit when cut vertically. 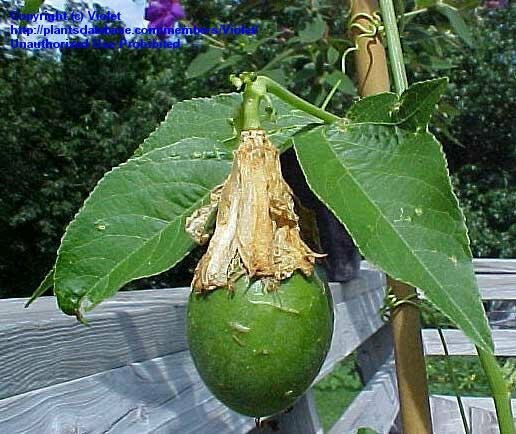 Close up of fruit developing. 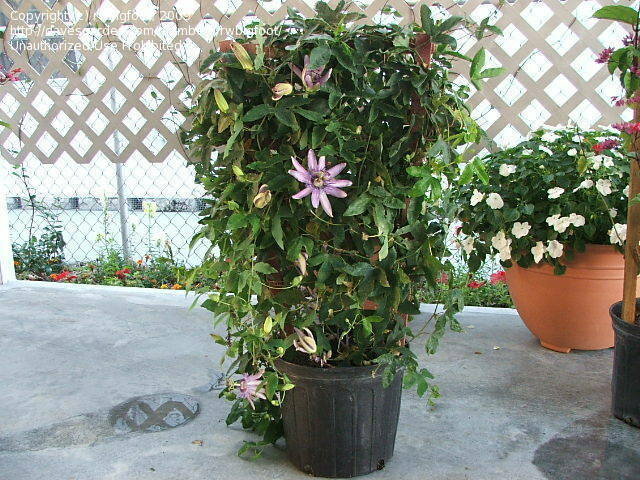 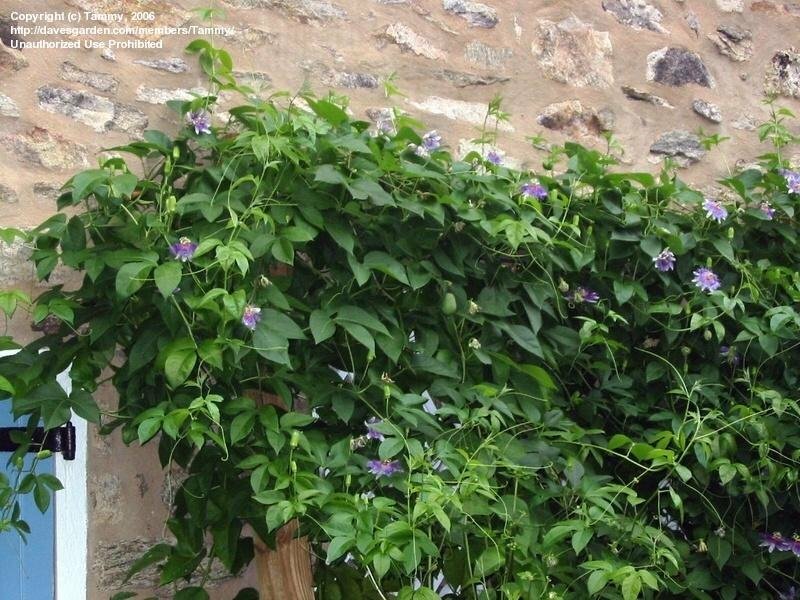 Prolific climbing vine that flowers throught the summer and into the fall. 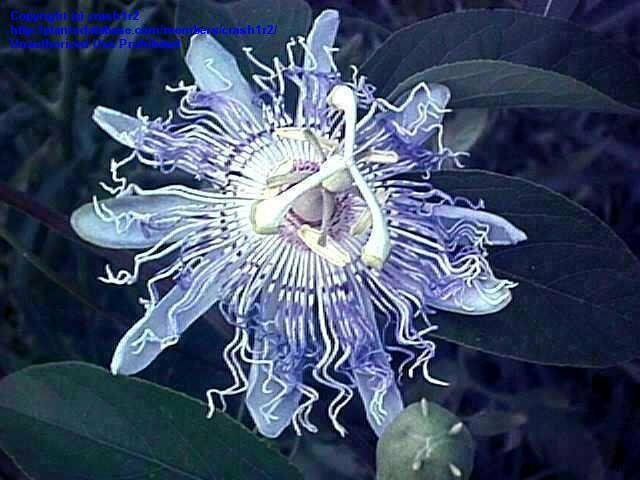 Exquisite flowers. 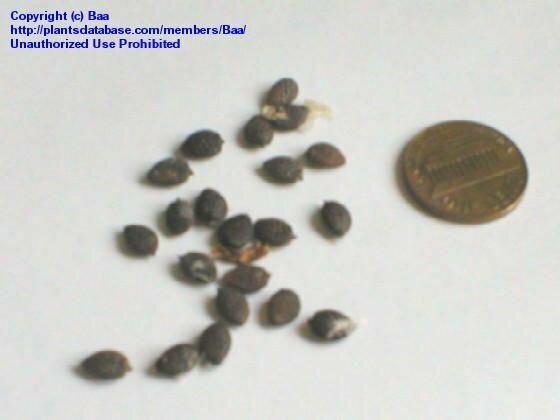 Final picture after 4 hours. 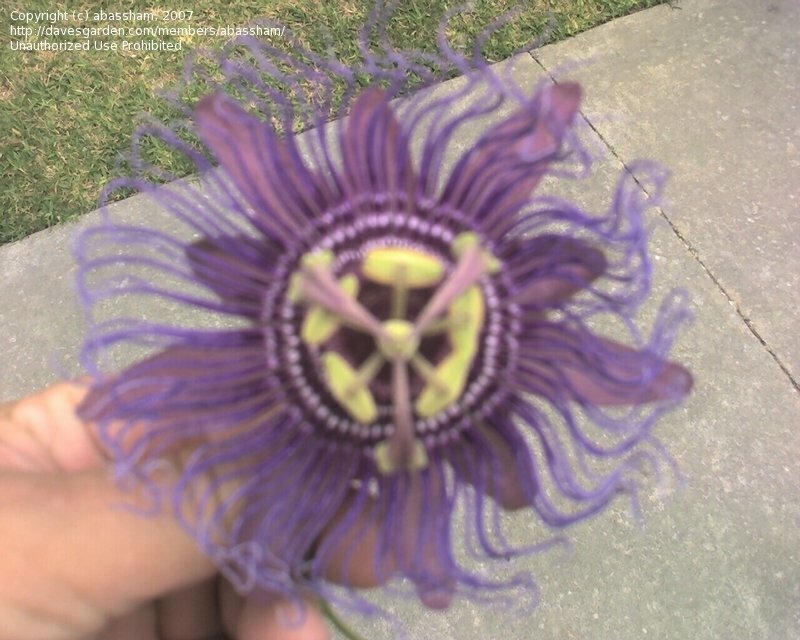 Big color change. 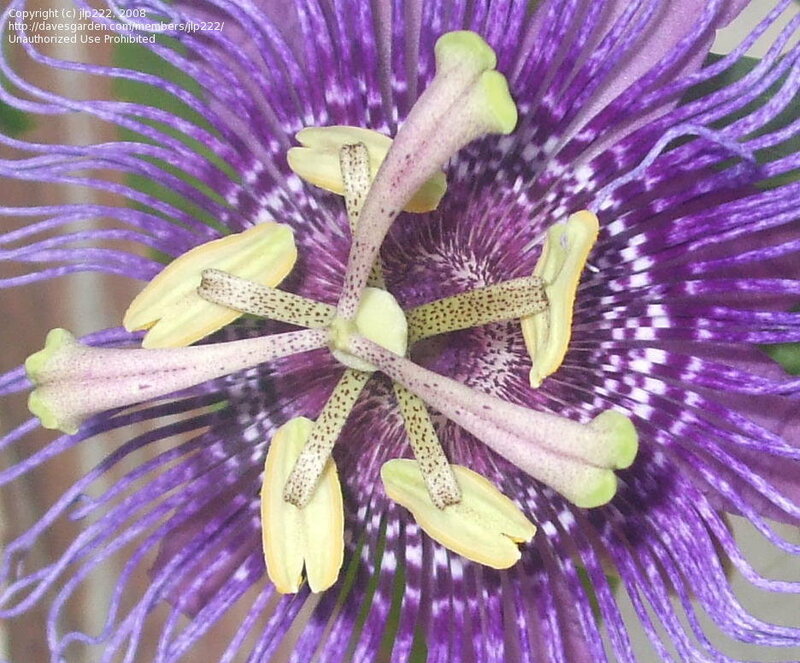 A close-up of the center area. 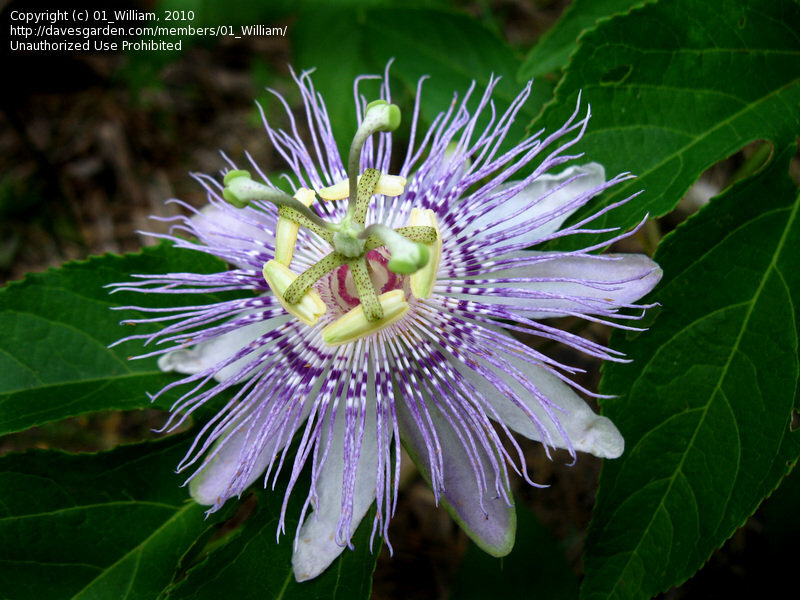 Growing wild at Arbor Hills Nature area in Plano, Texas. 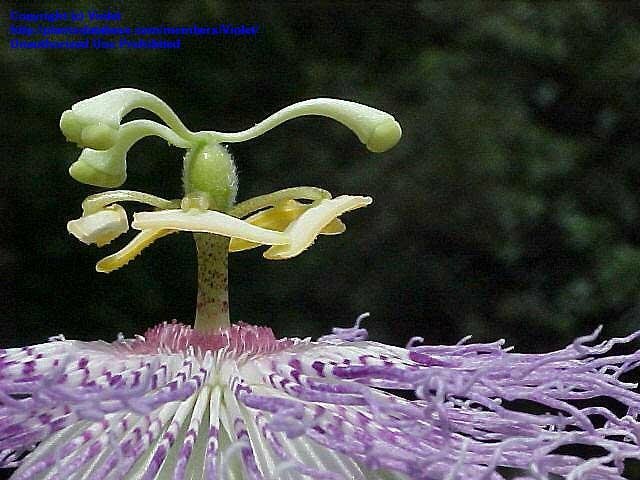 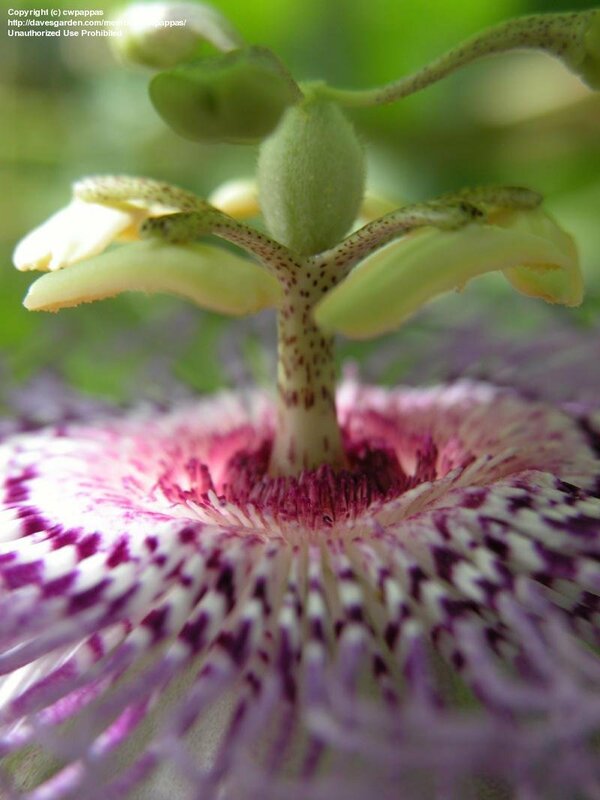 Mother nature knows how to make a flower! 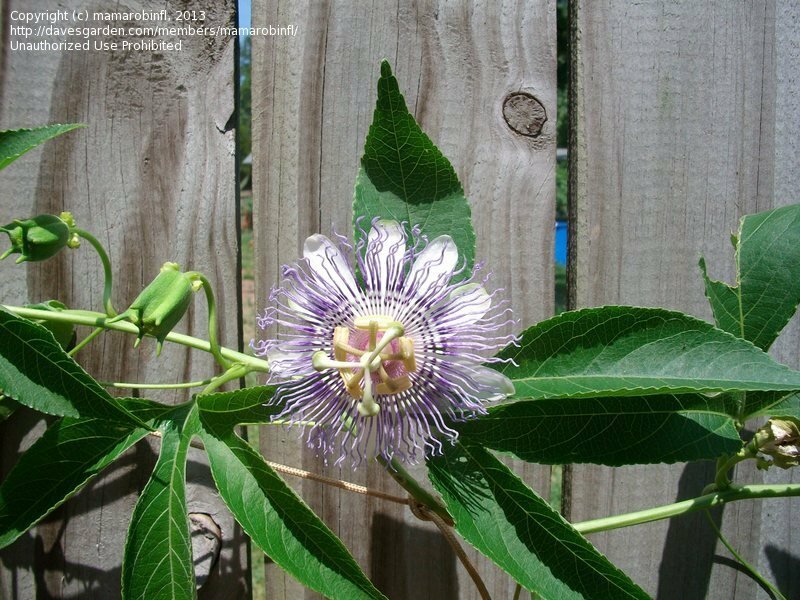 Passion Flower on my fence. 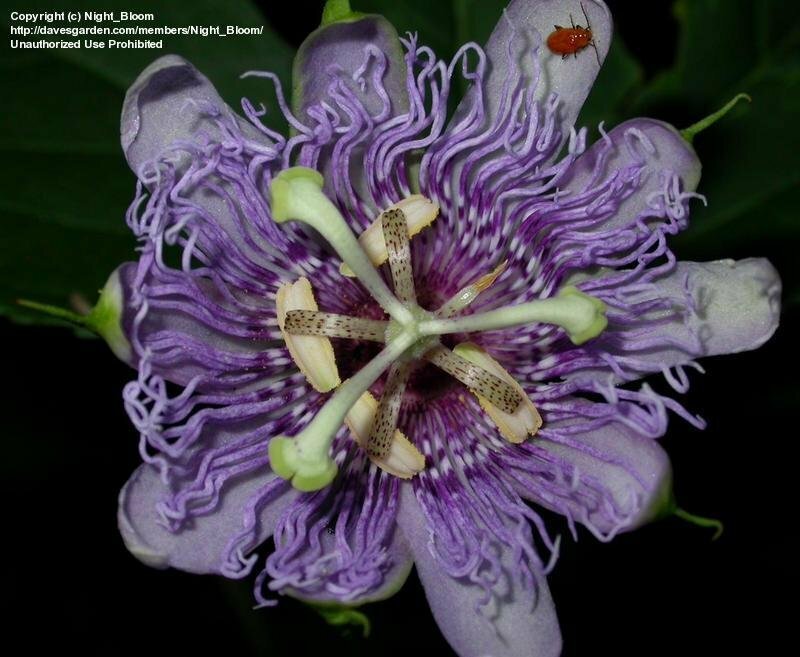 Notice pollen has fallen onto the flower (6 o'clock position) due to the scorpion (11 o'clock) trying to catch his dinner. 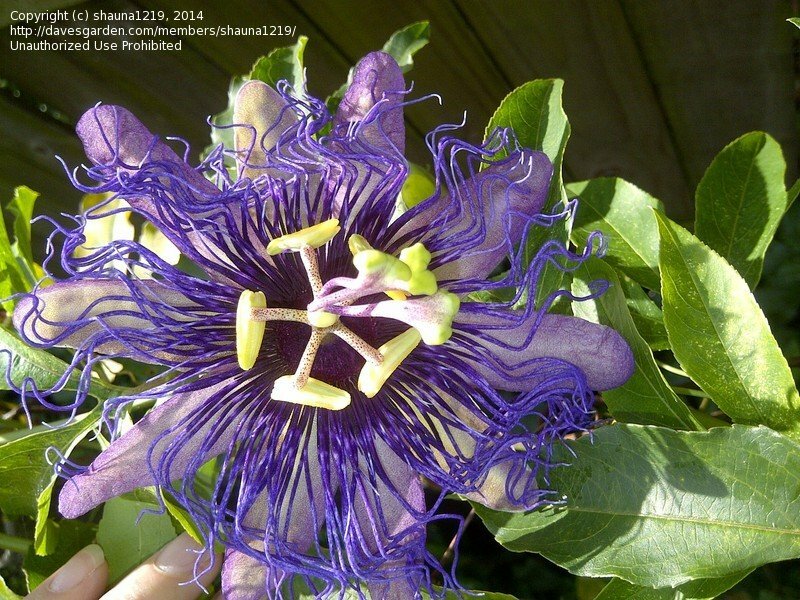 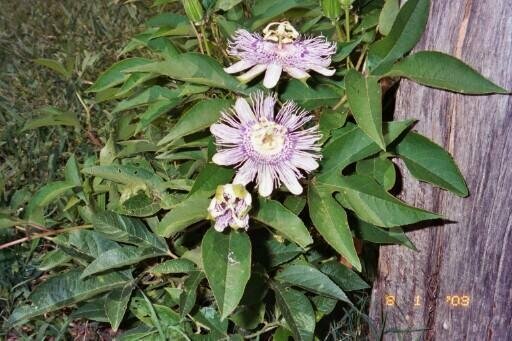 Wild grown Passion flower in my yard. 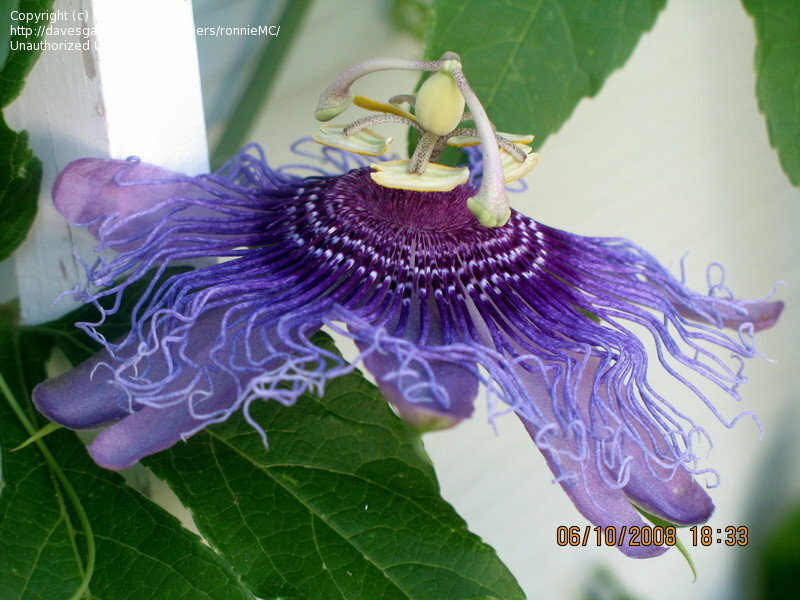 P. incarnata bloom, vine grown from seed. 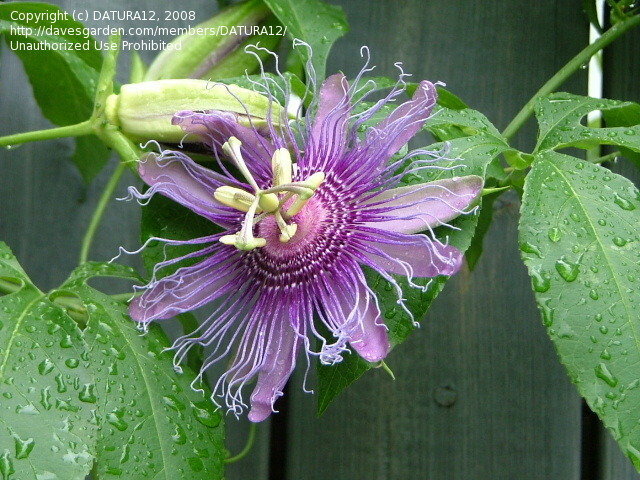 This one is not the native Louisiana incarnata. 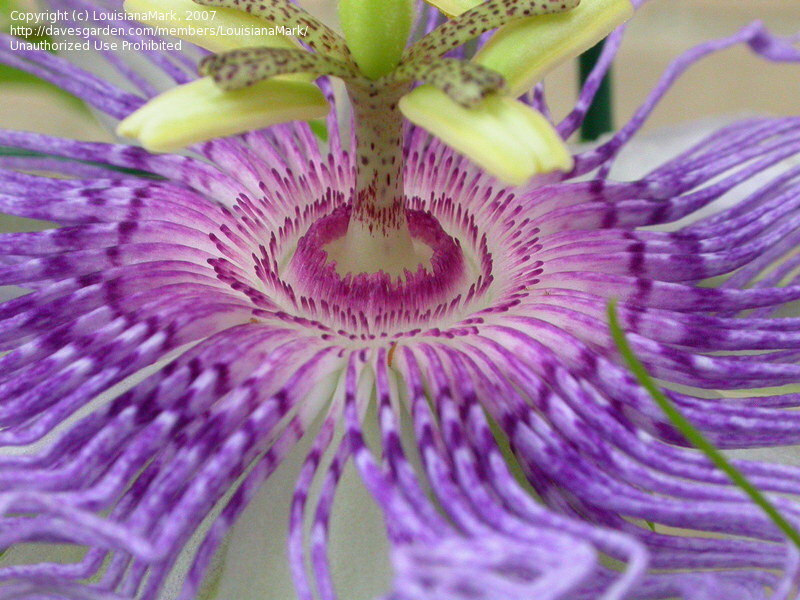 Close-up of the inner corona filaments. 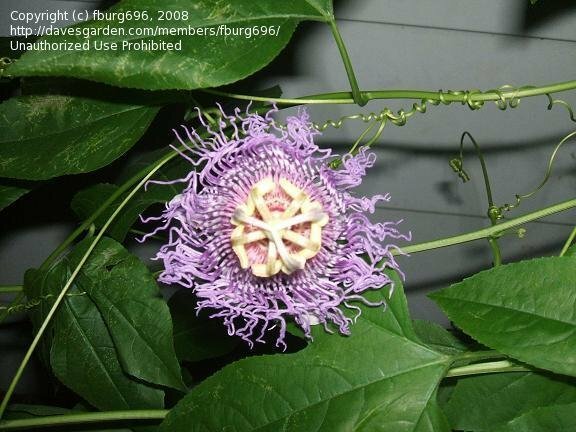 P. incarnata--flower of wild vine from Louisiana. 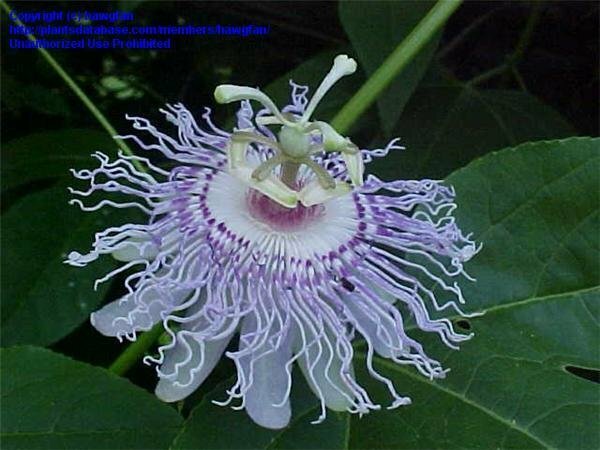 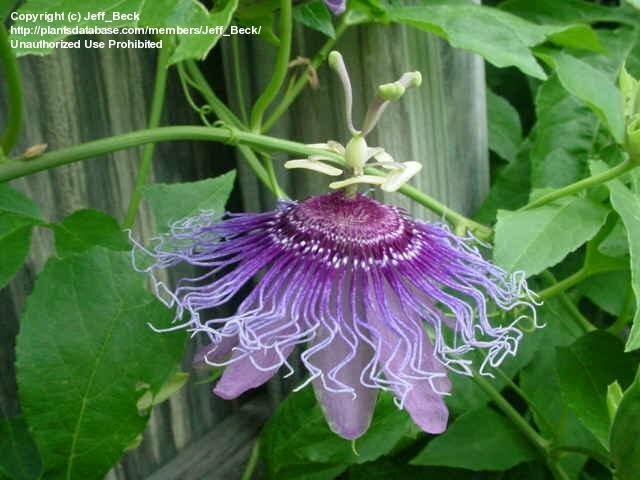 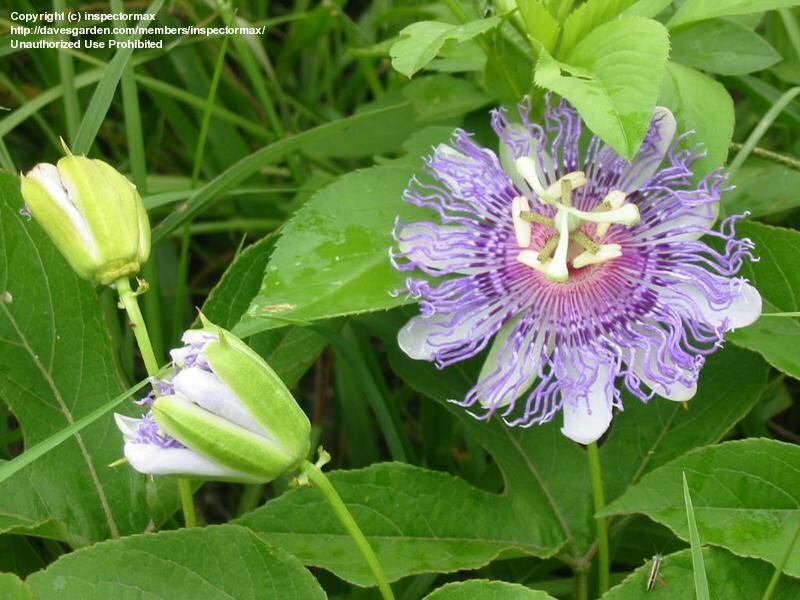 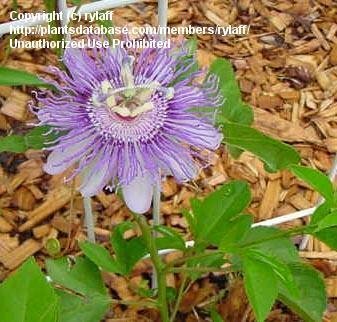 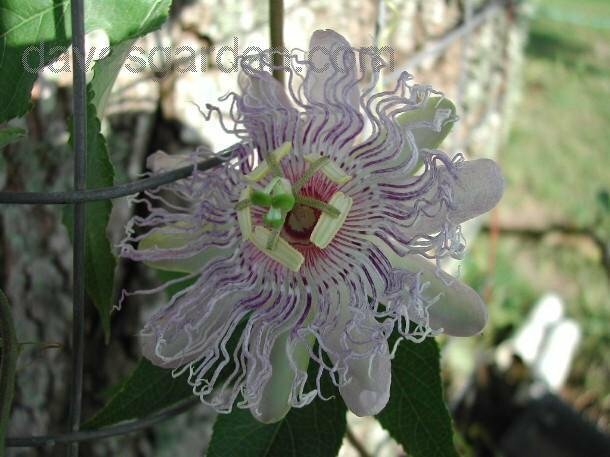 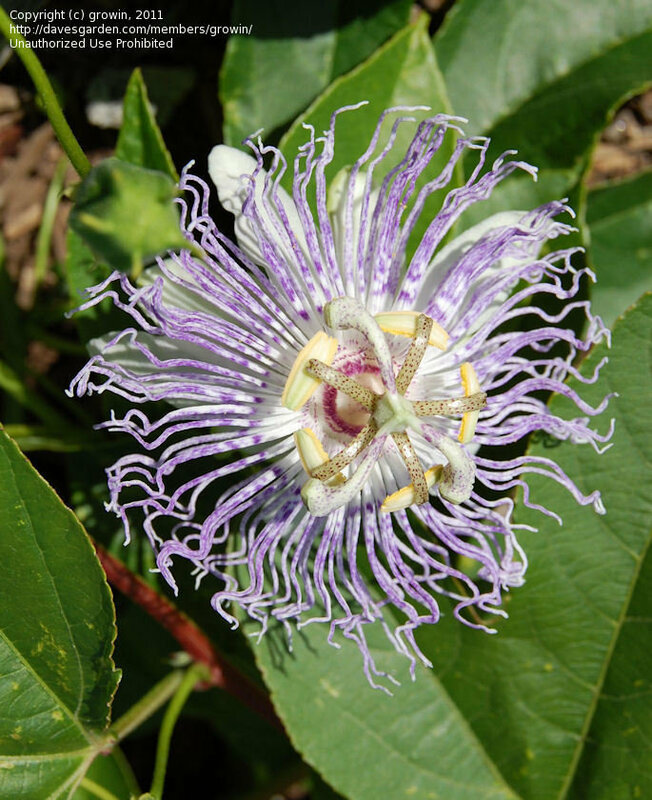 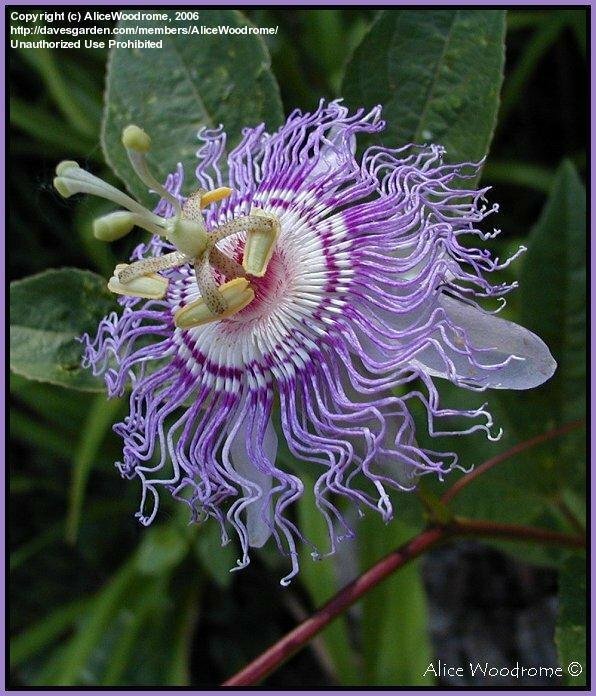 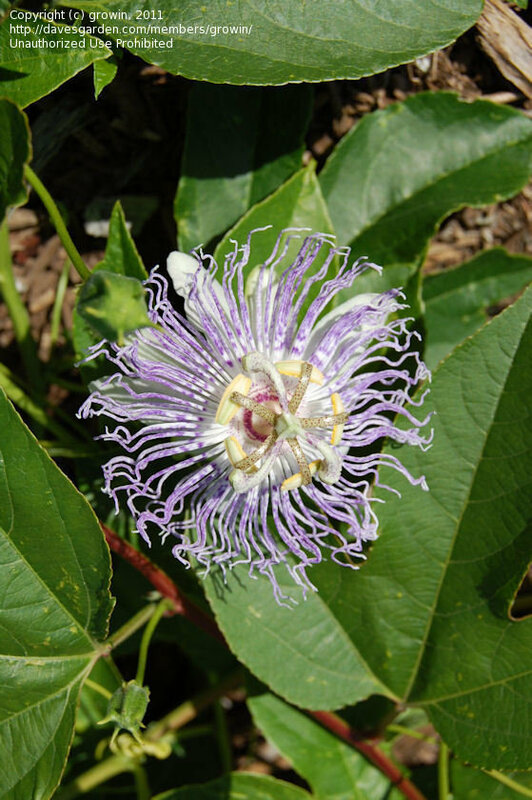 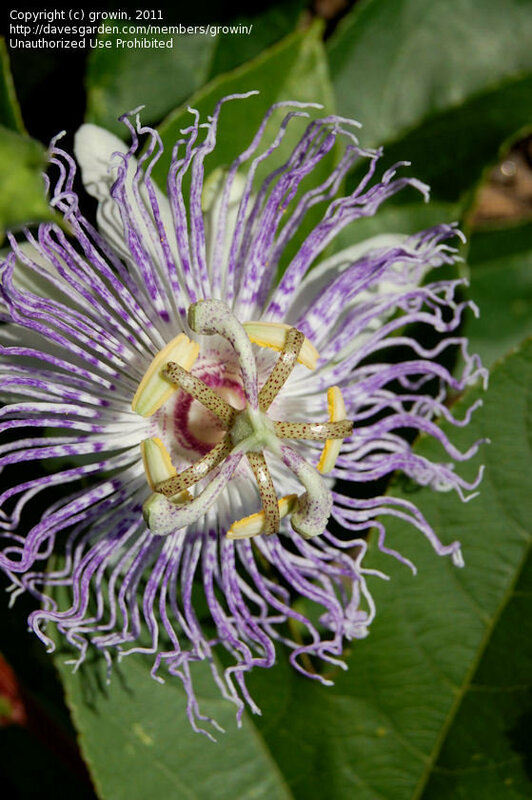 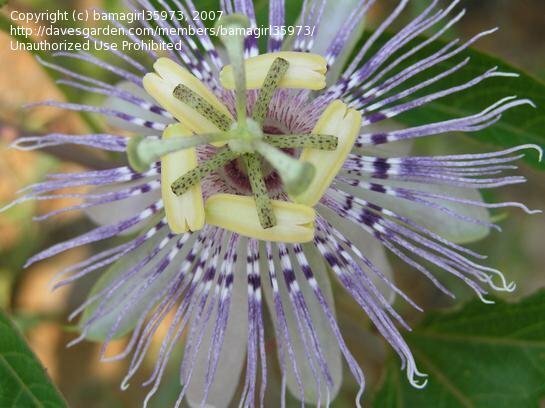 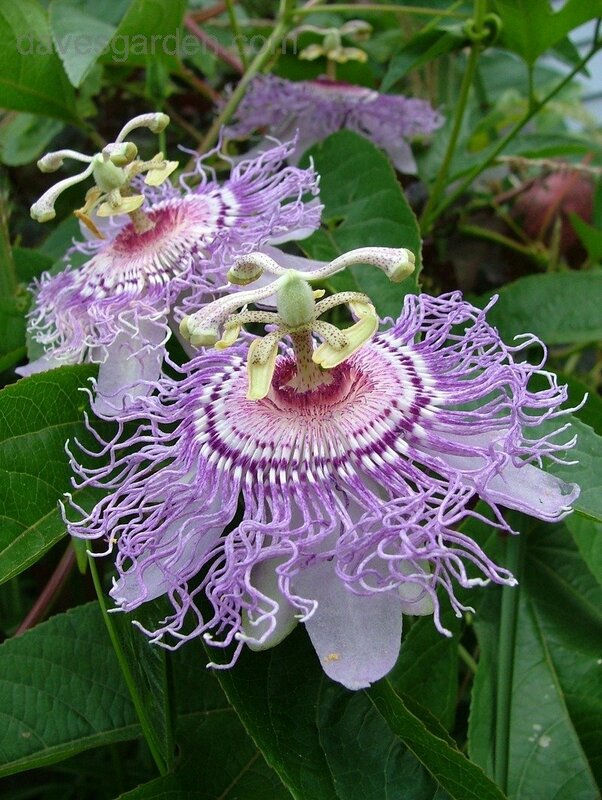 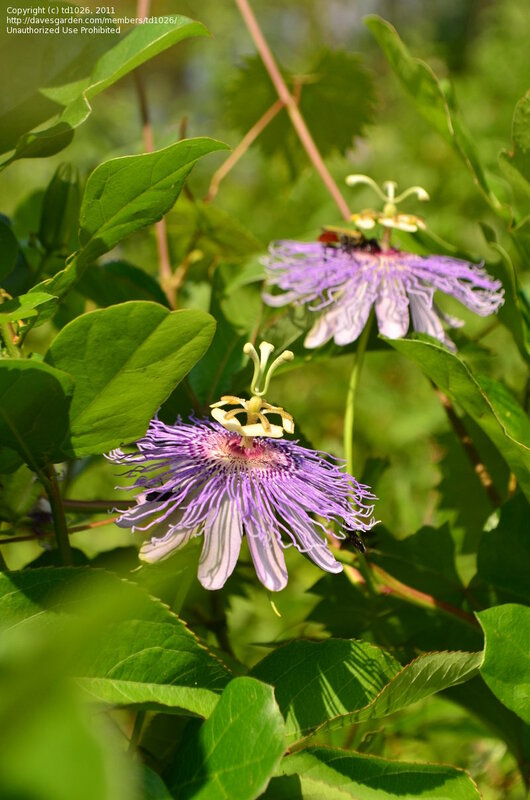 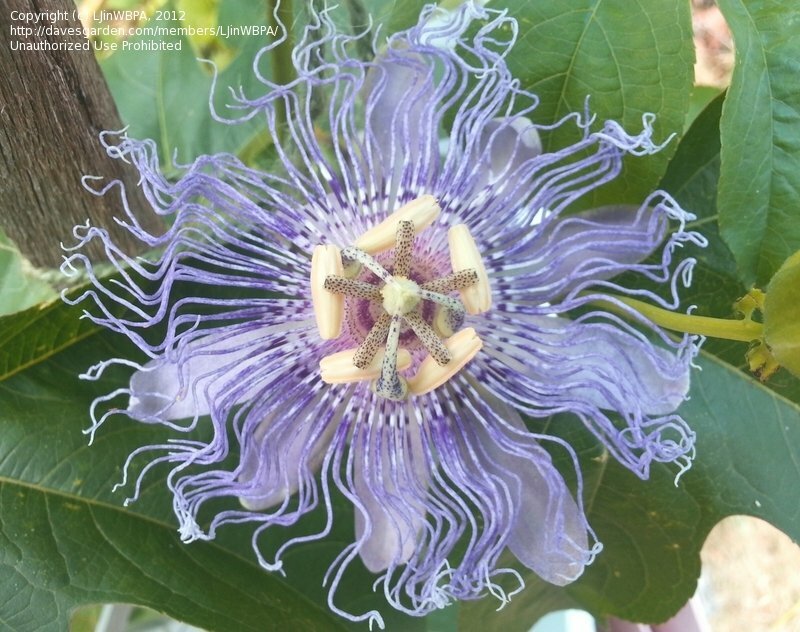 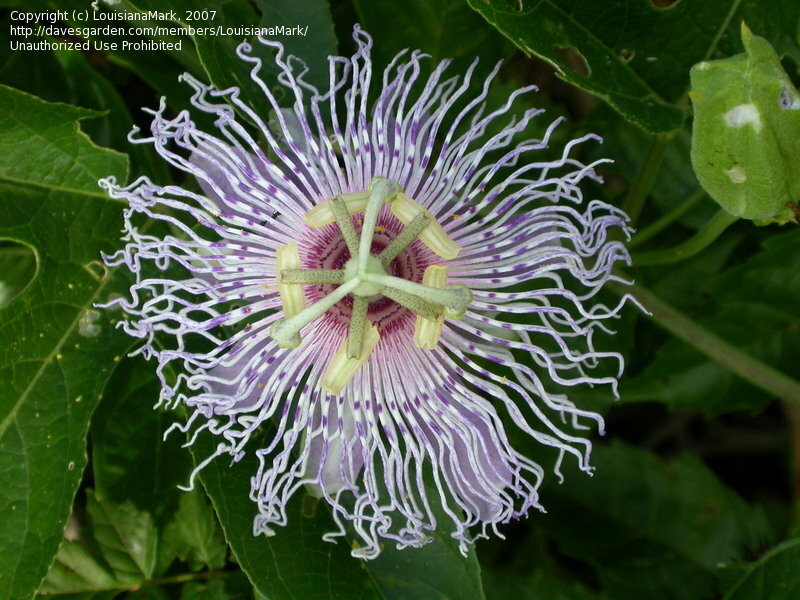 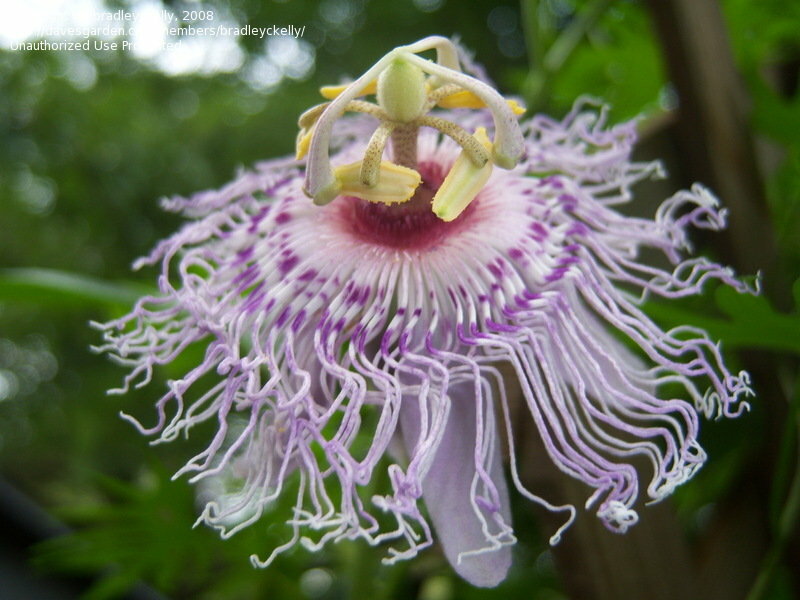 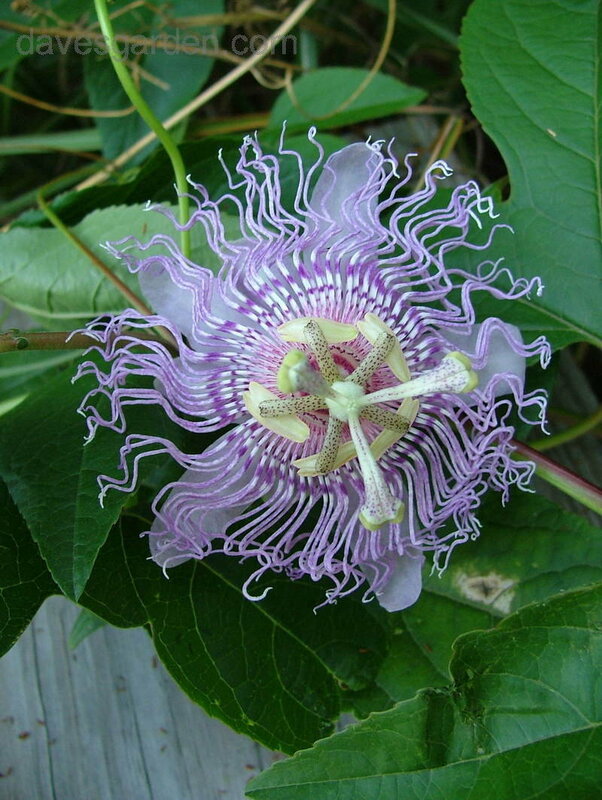 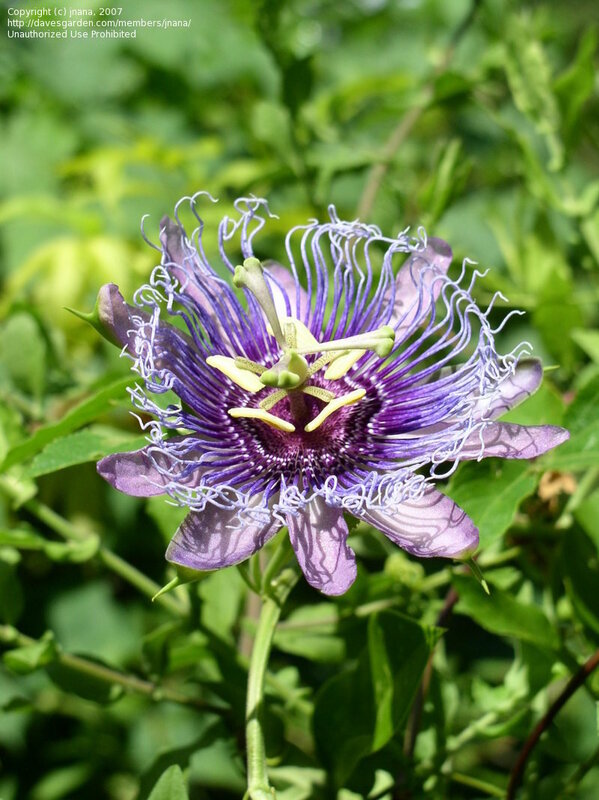 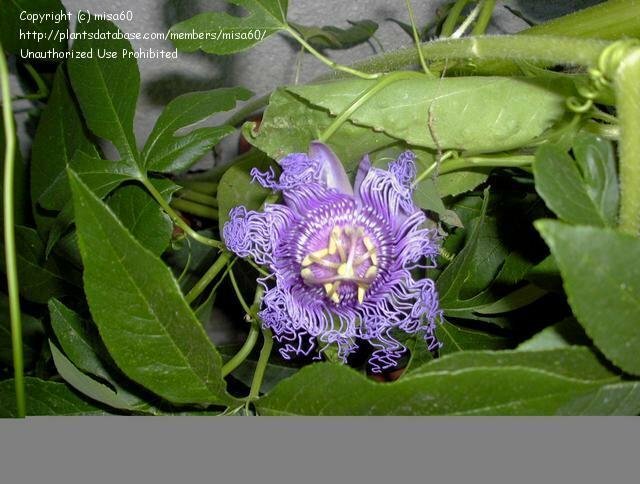 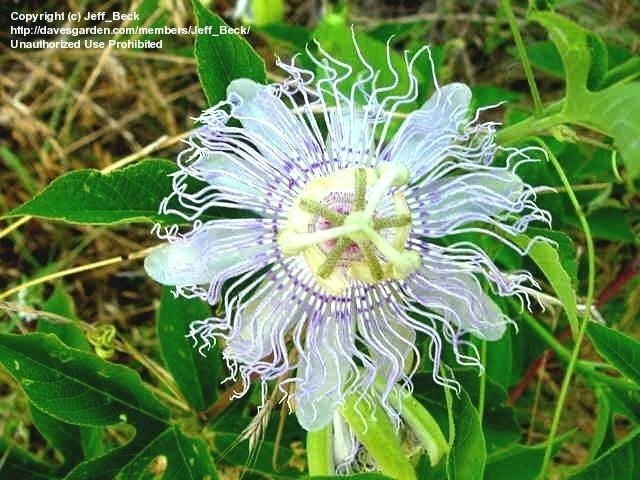 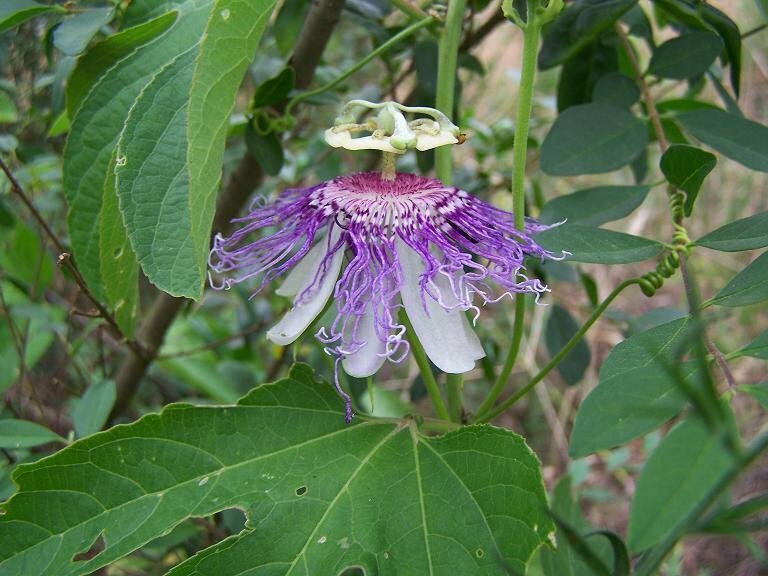 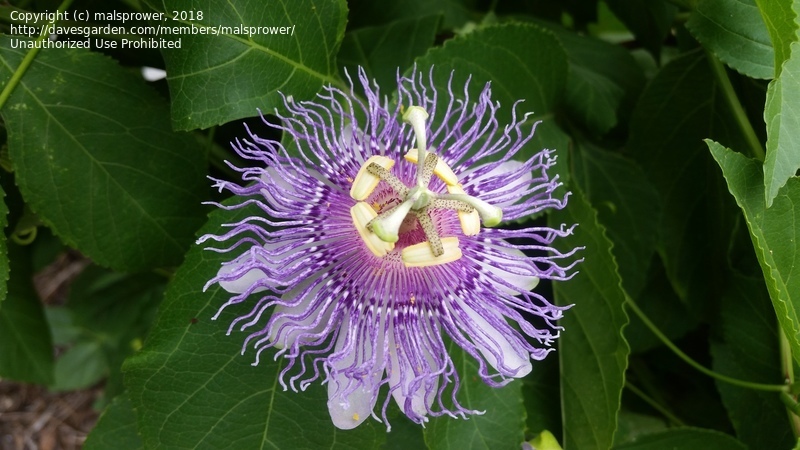 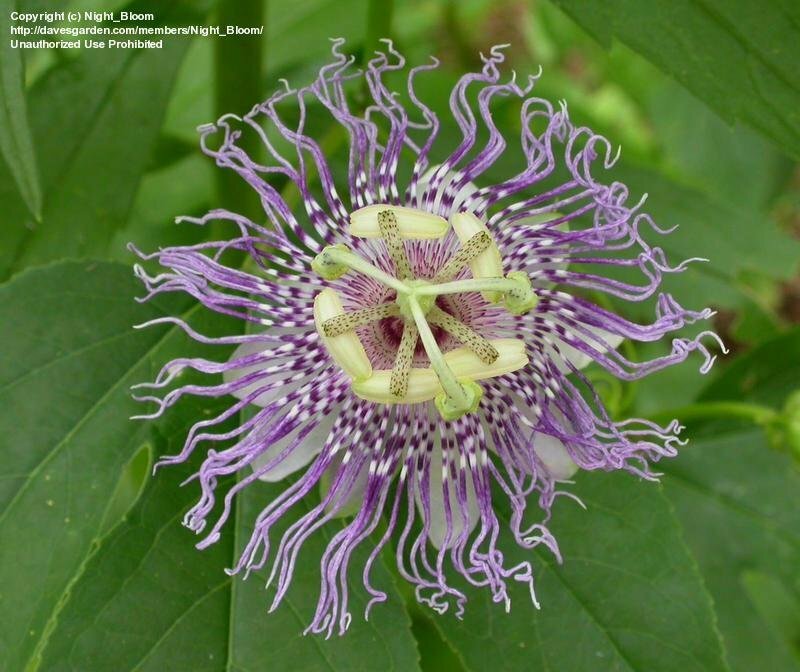 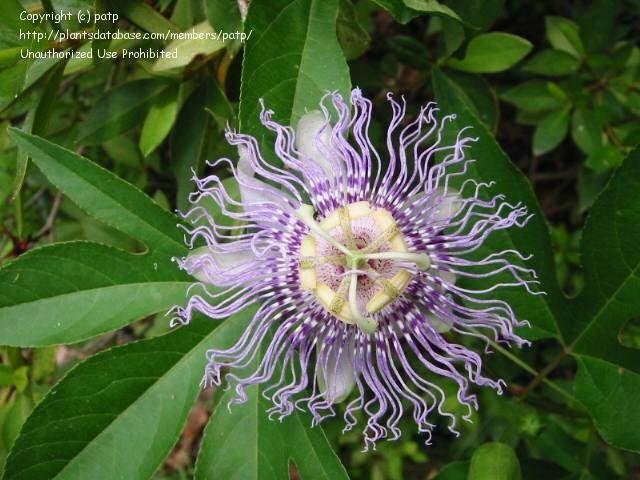 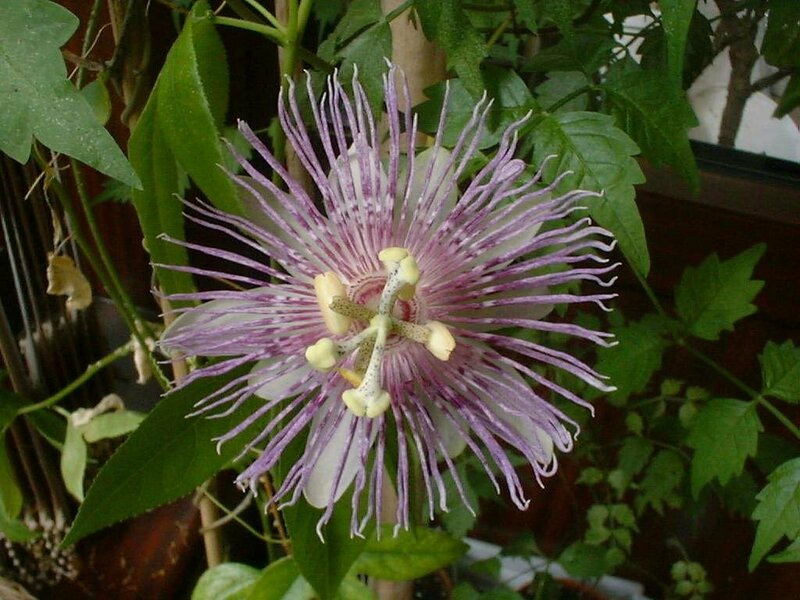 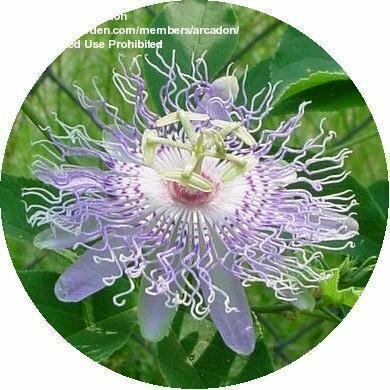 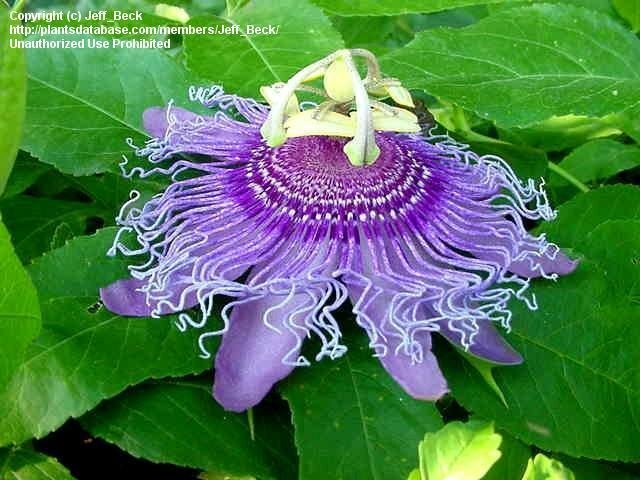 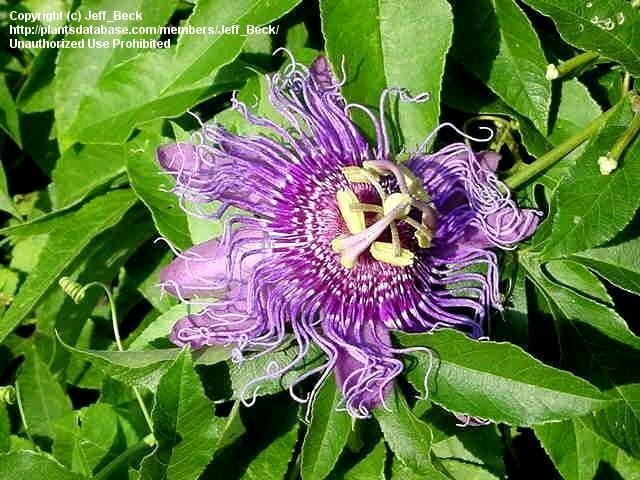 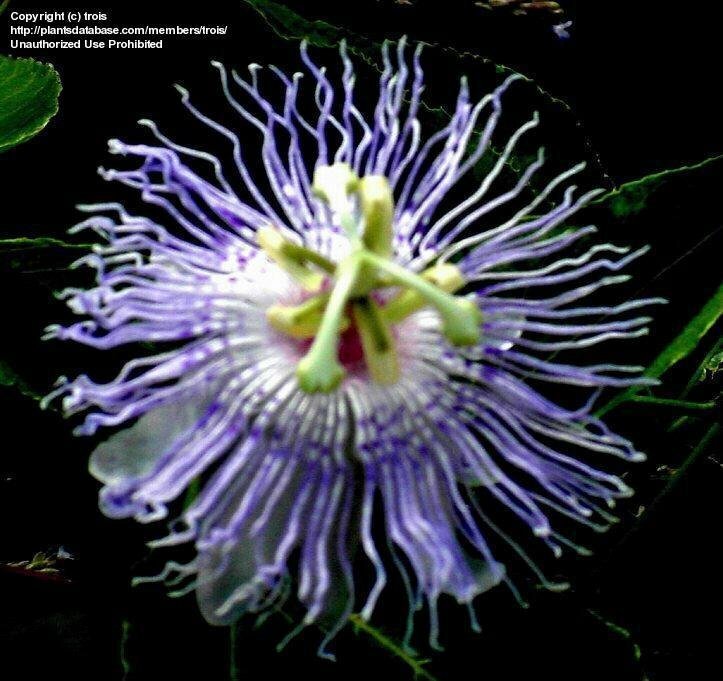 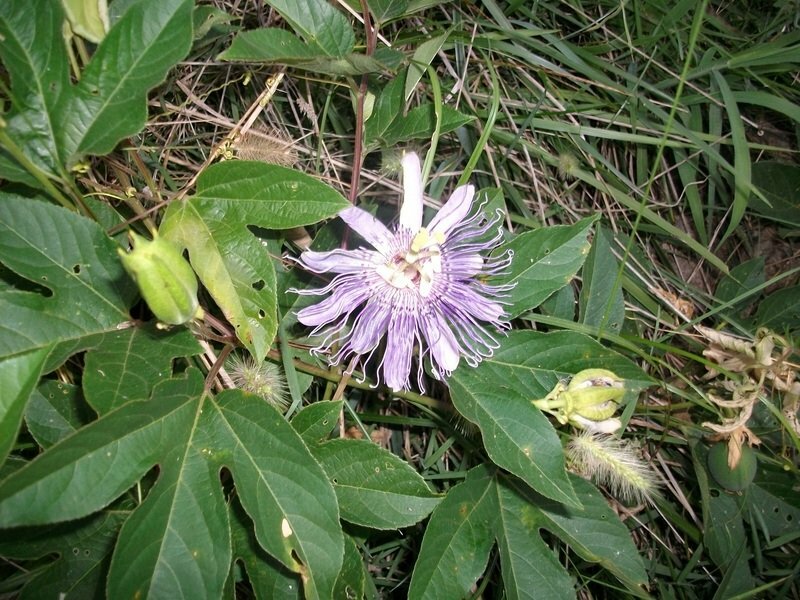 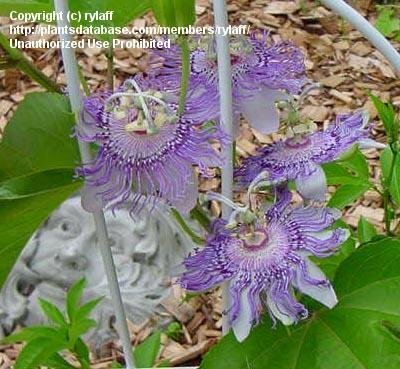 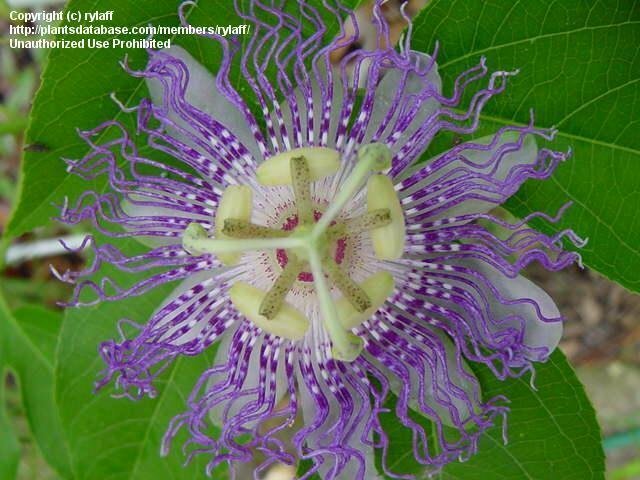 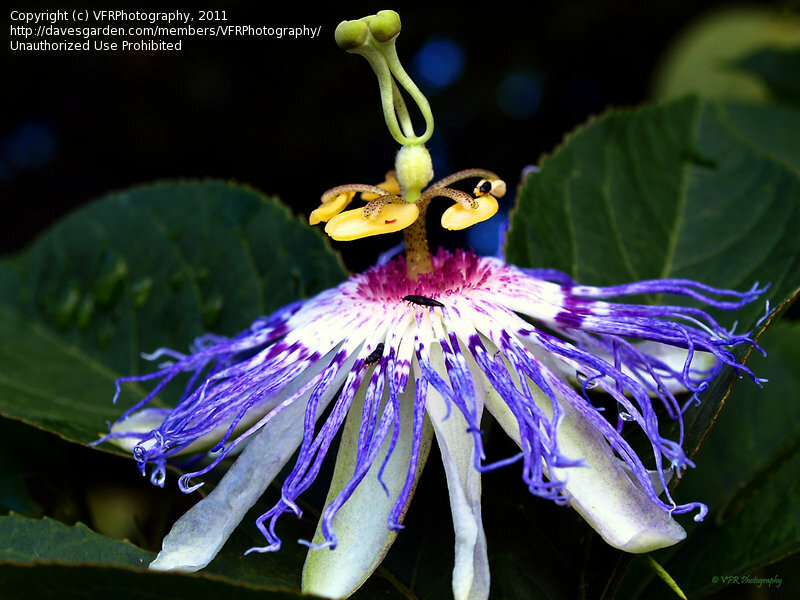 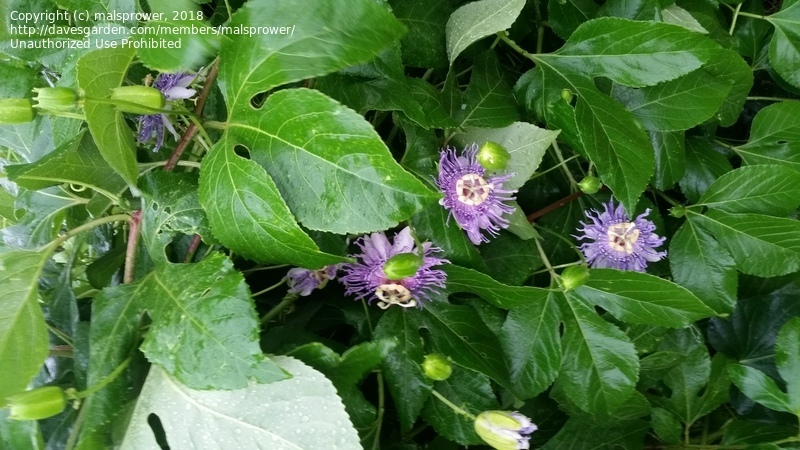 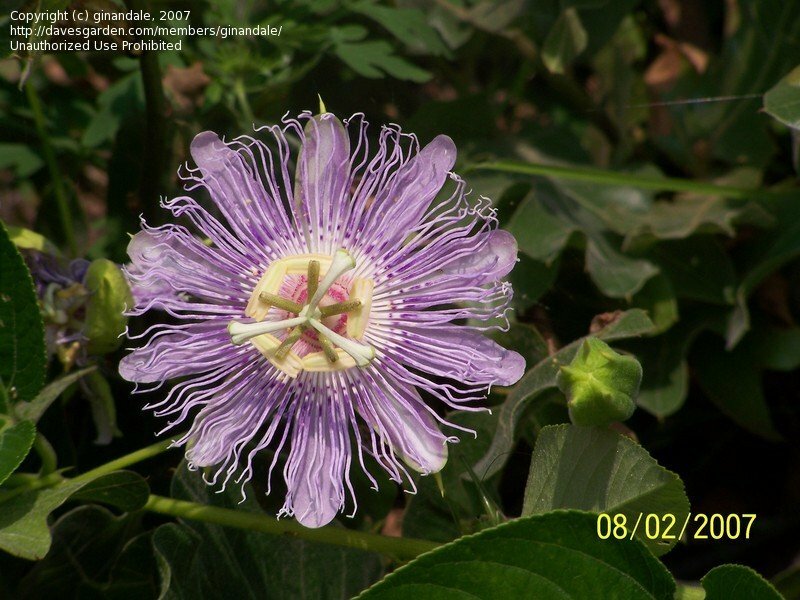 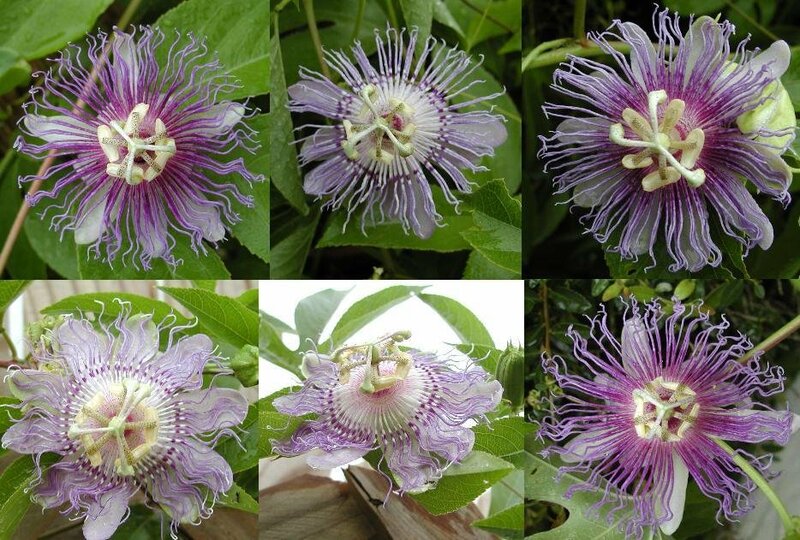 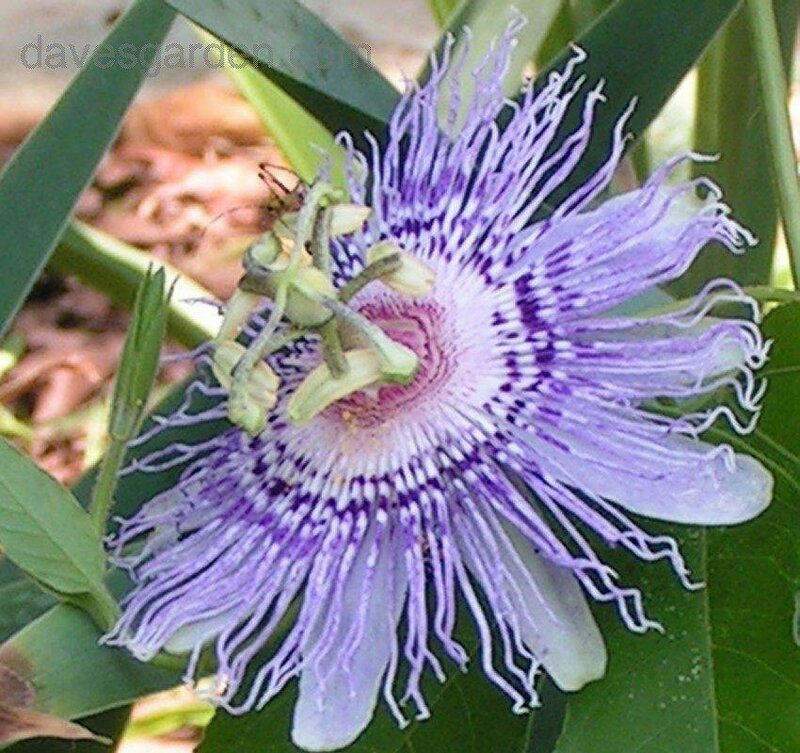 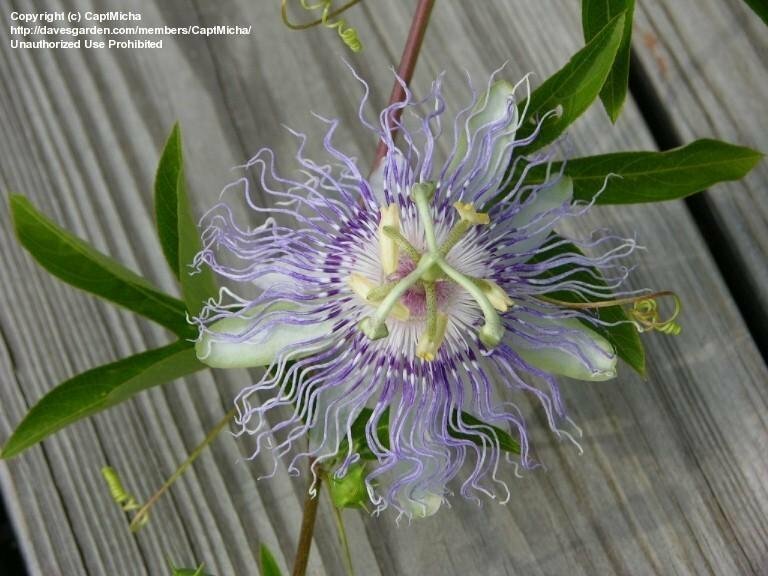 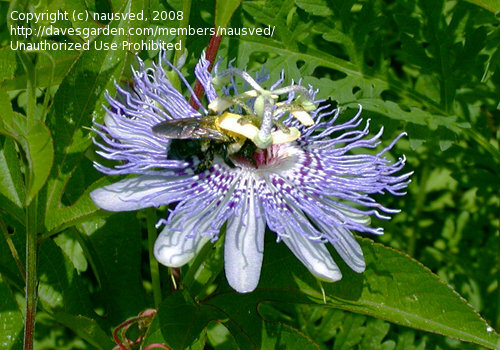 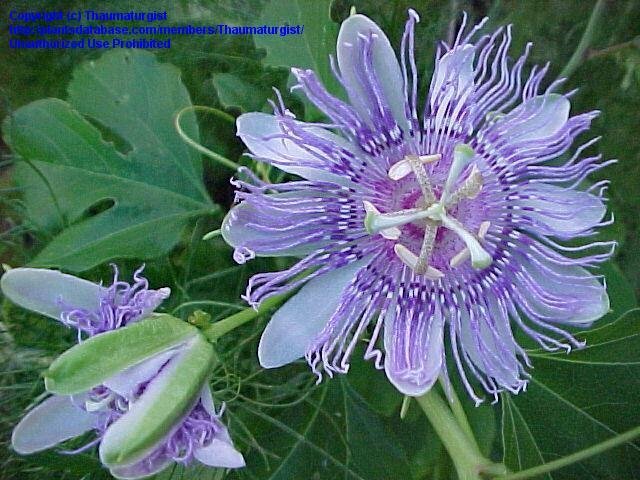 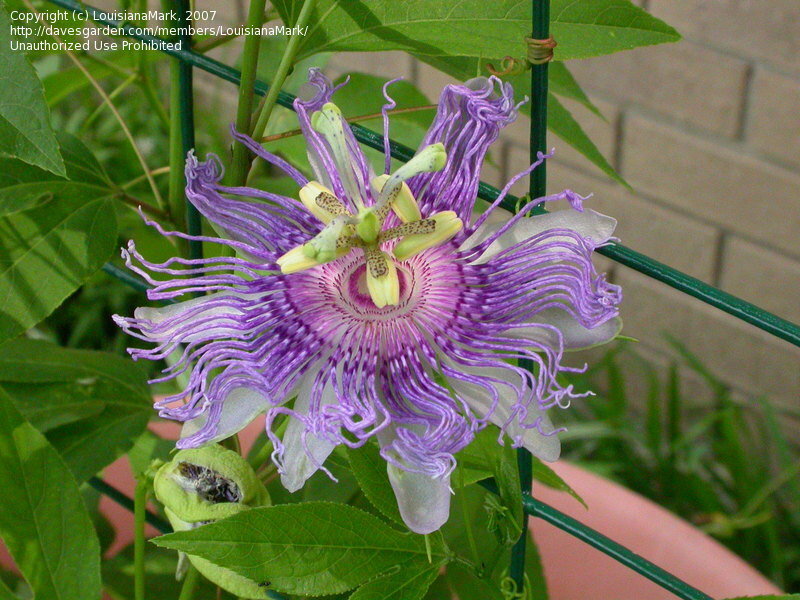 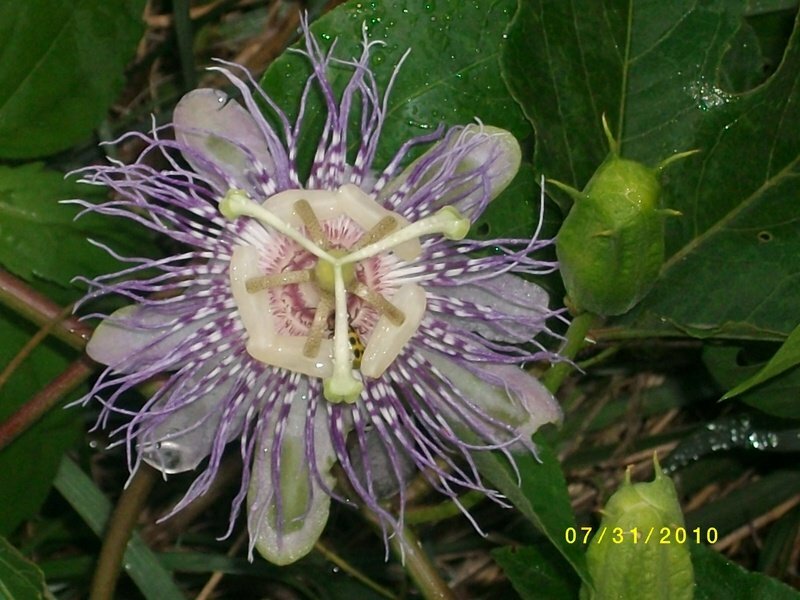 Purple Passion Flower (Maypop) grows wild in the fields around our home. 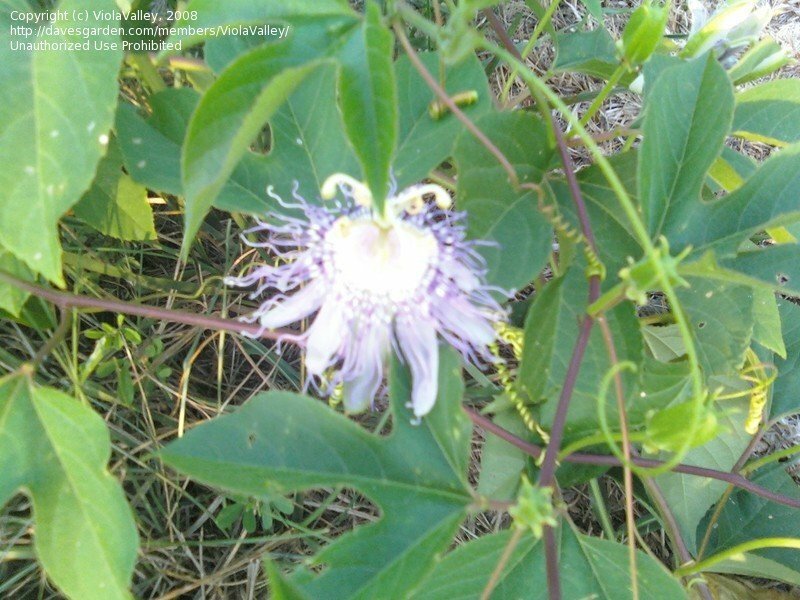 I took this picture 08-02-07 on the west fence line of my 140 acre farm we bought 10-20-06 located in Rose, Oklahoma. 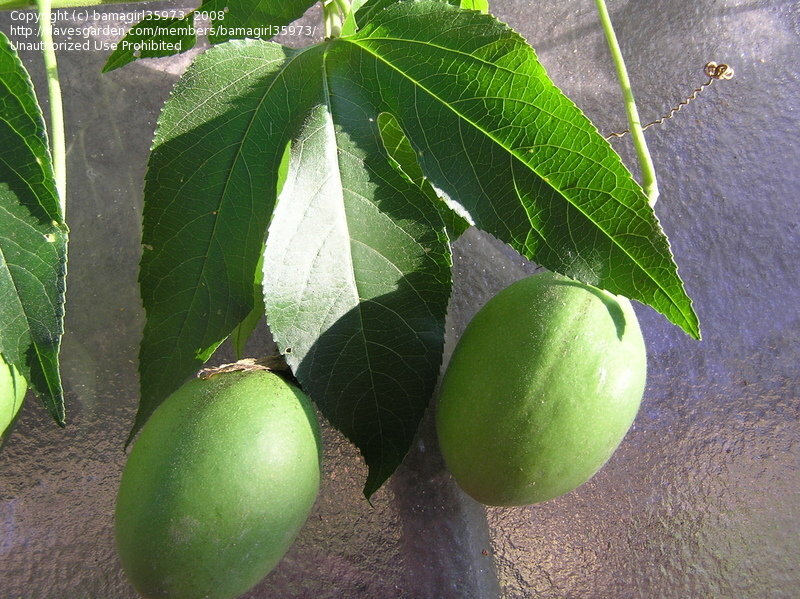 These are fruit of just one plant on our west fence line. 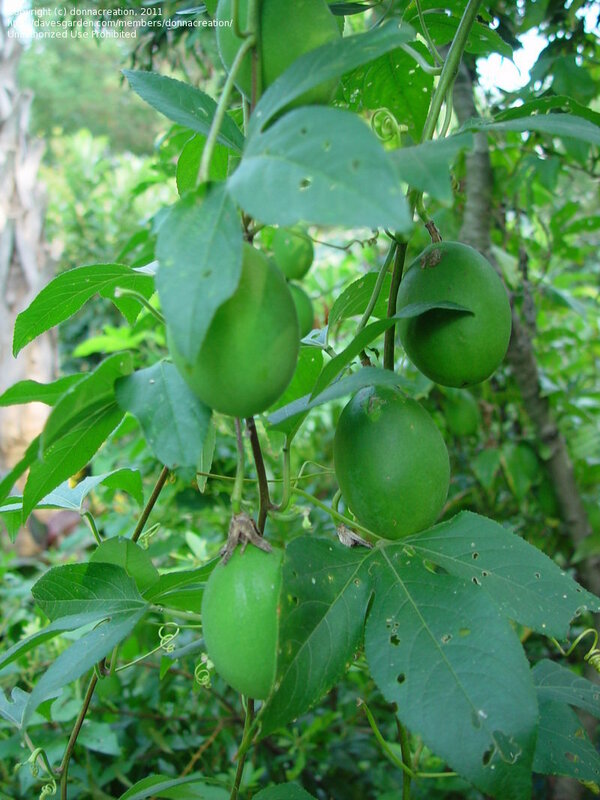 Are these fruit edible and how can you tell when they are ripe? 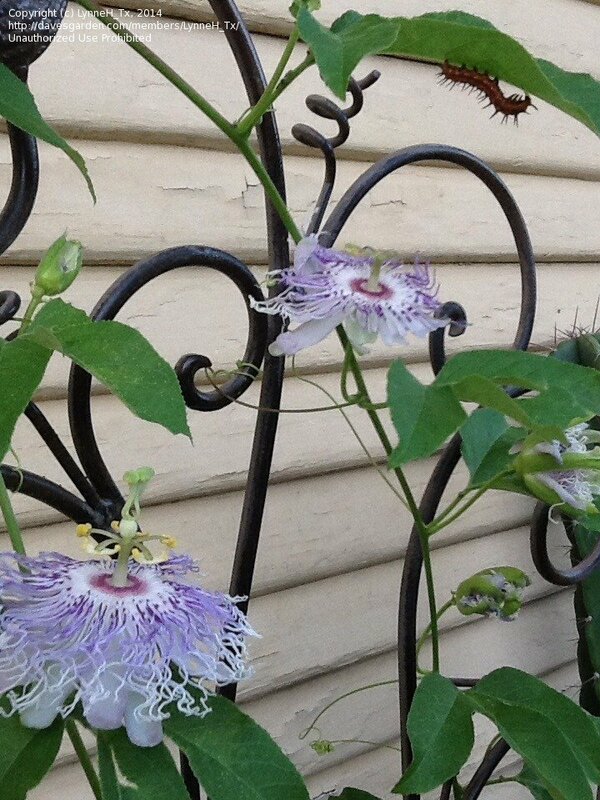 Seems I'm not the only one in love with these beauties!! 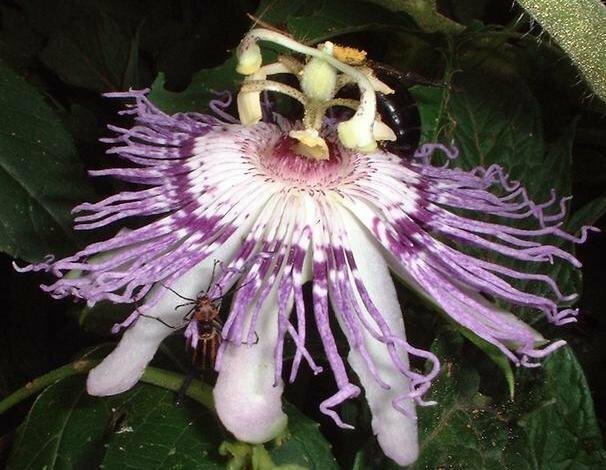 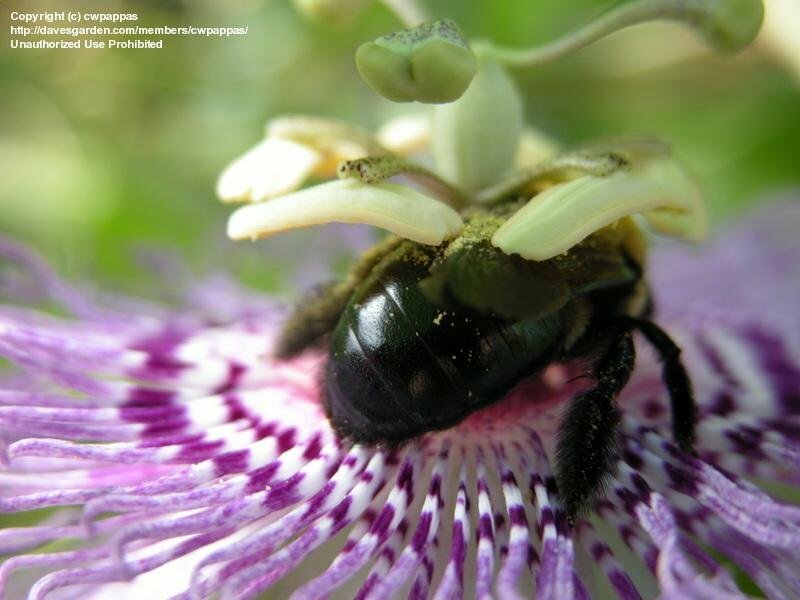 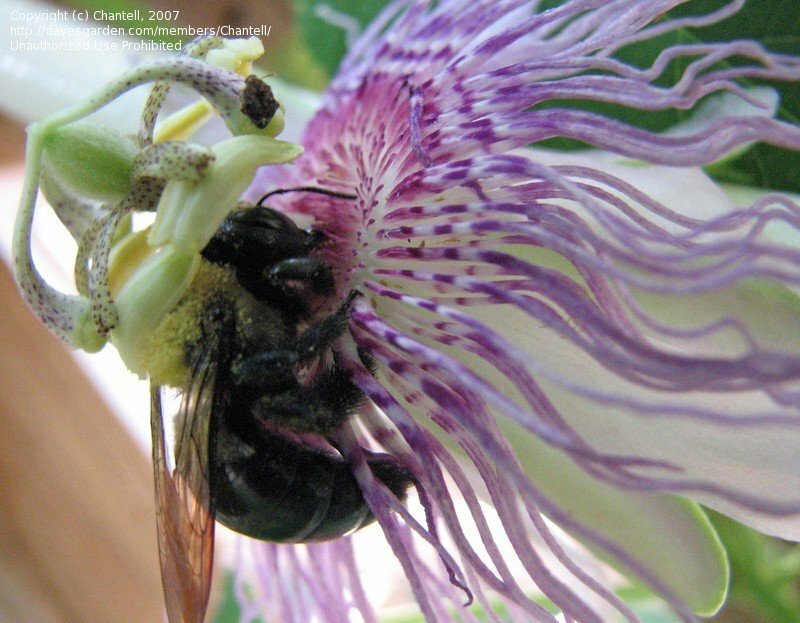 Bumblebee visiting a passion flower in East Tennessee, mid June. 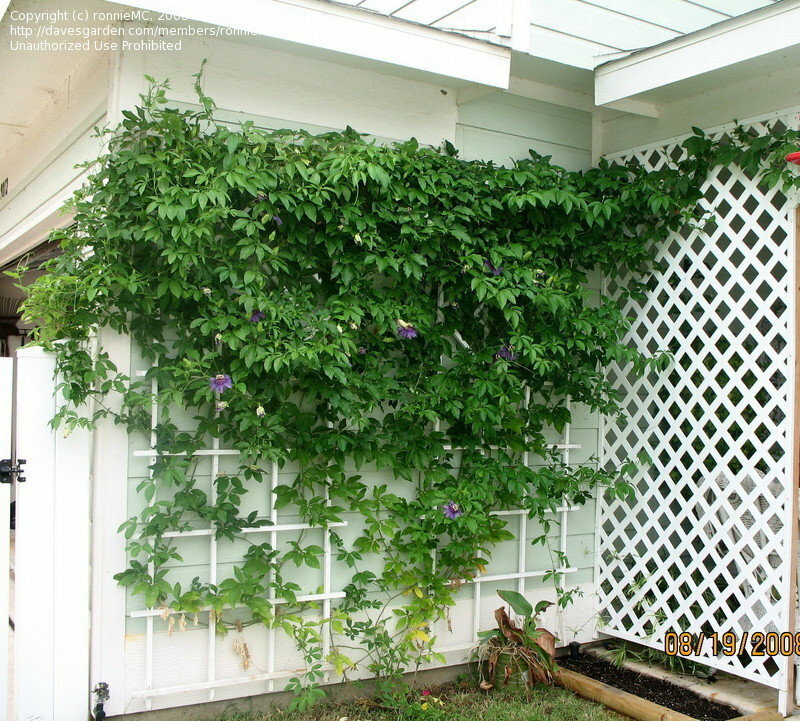 Passion Flower Vine growning up the lattice in my yard in Arkansas. 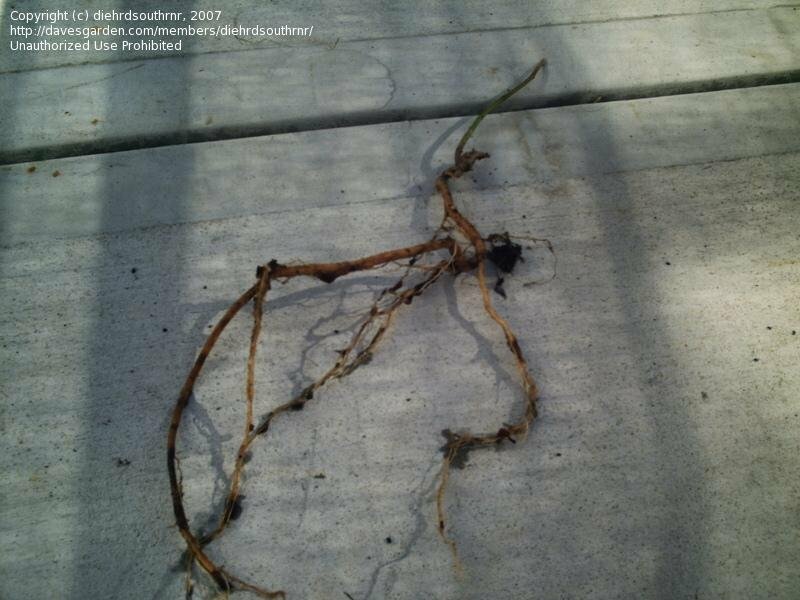 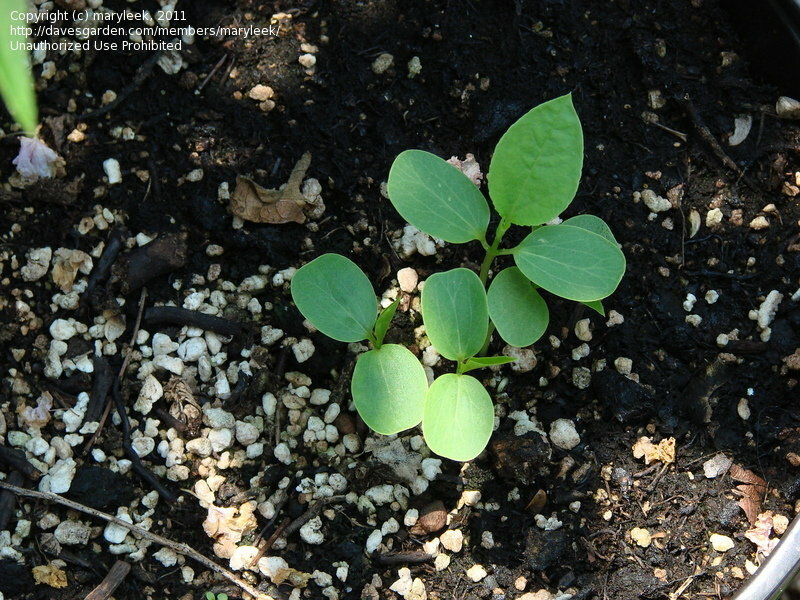 MY WIFE & I LIVE EAST DENTON, TEXAS, WE PLANTED 1 SMALL PLANT MARCH 2008 -- IT'S STILL GROWING! 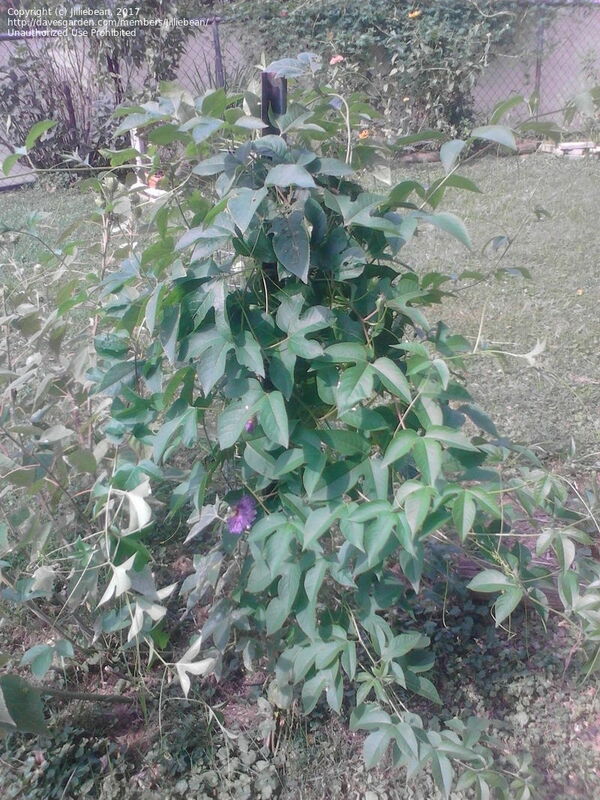 Buds appeared on this vine the last week of July in north Alabama. 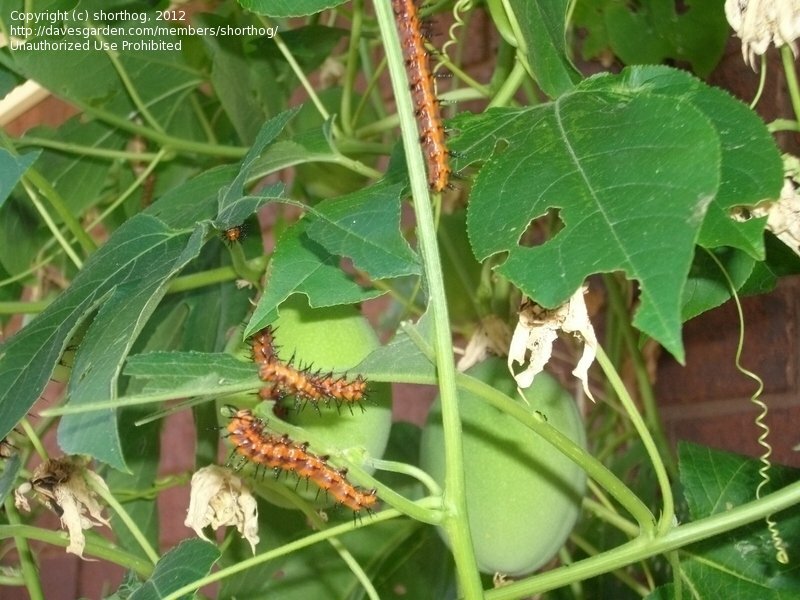 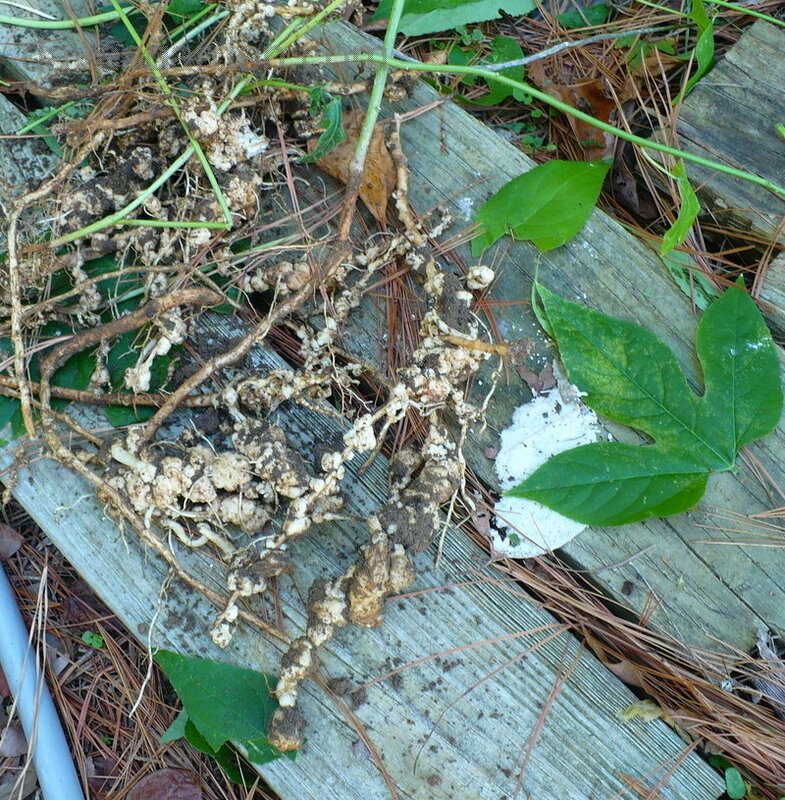 Maypop vine with Gulf fritillary caterpillars devouring the leaves and fruit. 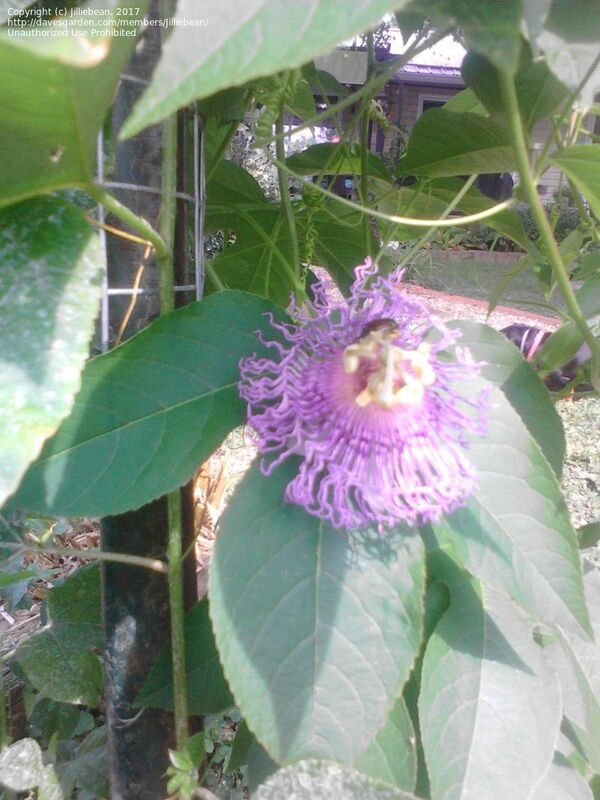 These grow wild in many places here is FL. 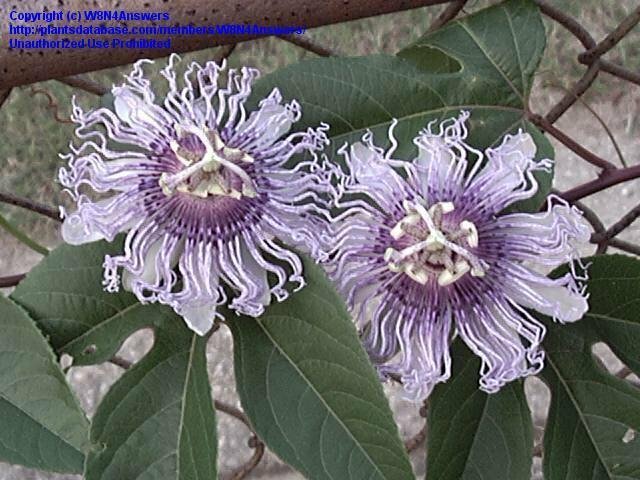 These are on my back fence.